Shades of a Canfield Ocean — Hydrogen Sulfide in Oregon’s Purple Waves? Are we already starting to awaken some of the horrors of the ancient hothouse ocean? Are dangerous, sea and land life killing, strains of primordial hydrogen sulfide producing bacteria starting to show up in the increasingly warm and oxygen-starved waters of the US West Coast? This week’s disturbing new reports of odd-smelling, purple-colored waves appearing along the Oregon coastline are a sign that it may be starting to happen. Oregon beachgoers and ocean researchers alike are flummoxed. There’s something strange in the water. Something that’s coloring the waves of Oregon’s beaches purple even as the off-shore waters are painted greenish-blue. These puzzling purple waves have been washing up along the Oregon Coastline for the better part of a month. And no-one seems to know exactly what’s causing it. All up and down Oregon’s coastline similar reports have been surfacing. Oregon State Park Ranger Dane Osis photo documented another incident at Fort Stevens State Park near Astoria. And eyewitnesses at some locations have described a ‘funky smell’ issuing from some of the purple-colored waters. 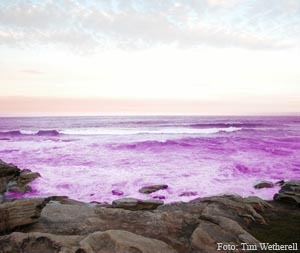 Initial reports have claimed that there’s no evidence the purple waters are harmful. But such assertions may well be premature. 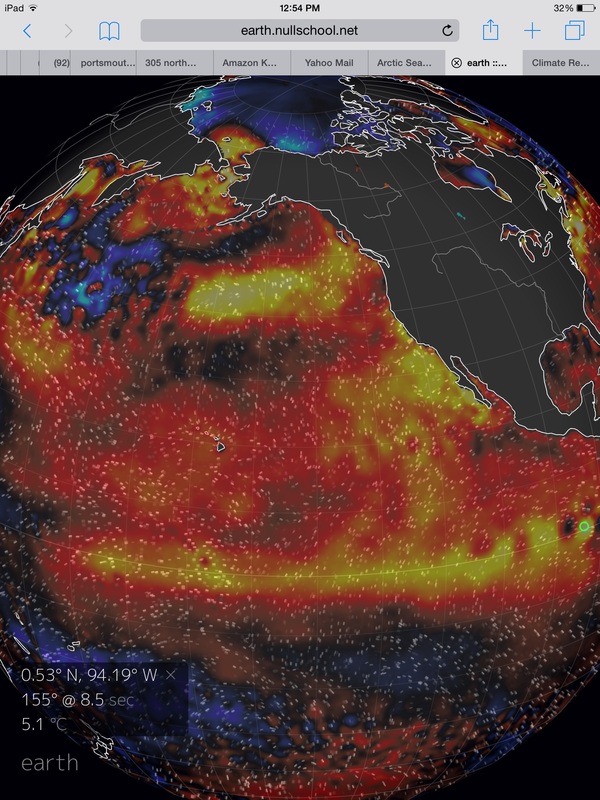 At issue is the fact that the waters off Oregon are increasingly warm. They are increasingly low oxygen or even anoxic. Conditions that are prime for the production of some of the world’s nastiest ancient species of microbes. The rotten-eggs smelling hydrogen sulfide producing varieties. The variety that paint the waters green (or turquoise as described by Jeanine Sbisa above) or even an ugly black. And there is one primordial creature in particular that thrives in warm, low-oxygen, funky-smelling water. An organism that’s well known for coloring bodies of water purple — the purple sulfur bacteria. In order for blooms of purple sulfur bacteria to form, waters have to be low in oxygen or anoxic. There has to be hydrogen sulfide gas present in the water. And the water has to be relatively warm. This is because the bacteria is warmth-loving, anaerobic, and it uses the sulfur in hydrogen sulfide gas as part of its energy production process. In the current day, the purple sulfur bacteria is present in anoxic lakes and geothermal vents. But during ancient times and during times of hothouse extinction, the purple sulfur bacteria are thought to have thrived in the world’s oceans — painting them the strange tell-tale purple we see hints of along the Oregon shoreline today. A purple that was the hallmark color of a life-killing hothouse ocean. The purple sulfur reducing bacteria, though not dangerous themselves, live in a kind of conjoined relationship with the much more deadly hydrogen sulfide producing bacteria. The purple, is therefore, a tell-tale of the more deadly bacteria’s presence. And hydrogen sulfide producing bacteria may well be the most dangerous organism ever to have existed on the planet — largely responsible for almost all the great extinction events in Earth’s deep history. For hydrogen sulfide itself is directly toxic to both land and ocean-based life. Its deadly effects are increased at higher temperatures. And not only is it directly toxic in both water and air, if it enters the upper atmosphere it also destroys the ozone layer. Purple waters are a sign that the little organisms that produce this deadly agent may be starting to bloom in an ocean whose health is increasingly ailing. Tiny tell-tales that we’re on a path toward a hothouse Canfield Ocean state. 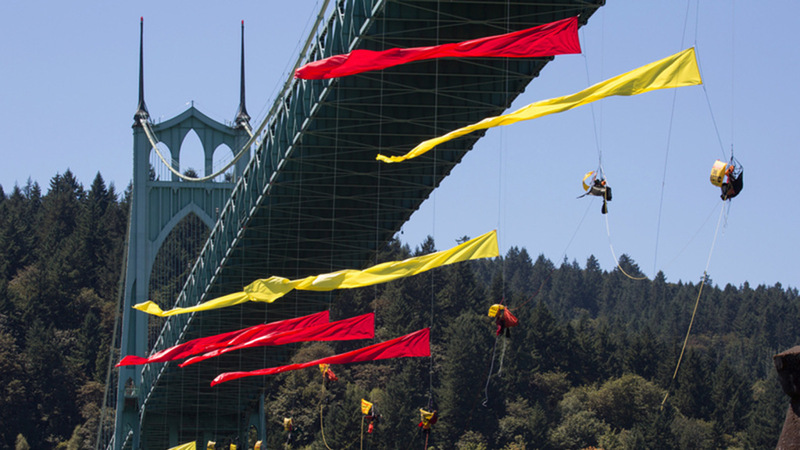 A path we really don’t want to continue along through the ongoing burning of fossil fuels. For that way leads toward another great dying. Pigmented Salps — An Indicator of Bio-Magnification? 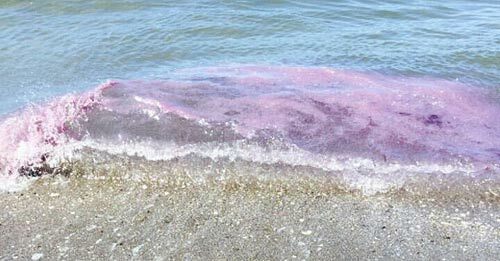 UPDATE TUESDAY, SEPTEMBER 1: According to reports from Oregon’s Department of Fish and Wildlife, Oregon’s purple waves are being caused by the large-scale spawning of an oxygen dependent jellyfish-like vertebrate called a salp in the near shore zones along the Oregon coastline. The normally clear salps have apparently developed a purple pigmentation which is coloring the waves in this region a strange hew. The findings, though seemingly reassuring, raise more questions than they do answers. First, salps do not typically spawn in the near-shore region. However, during recent years, near shore salp spawnings have become more common leading to reports of these jellies washing up all along the U.S. Coastline. Phytoplankton and other bacteria are a typical food source for salps and the jellies are mobile enough to follow this food. So large blooms in the near shore ocean could be one reason for salps coming closer to shore. Second, salps are typically clear — devoid of any pigmentation. So the question here is how are salps picking up this strange purple color? Since salps are filter-feeders known to eat bacteria, it’s possible that a highly pigmented food source or a source laden with purple sulfur bacteria may be resulting in this odd new coloration for salps. So identifying pigmented salps as the source of the purple coloration does not necessarily eliminate the possibility of sulfur reducing bacteria being present in either the near shore or the off shore waters where salps typically reside and feed. Pigmentation, in this case, may be due to salps bio-magnifying the natural pigmentation in their food source. Given the fact that salp coloration is practically unheard of, it’s somewhat puzzling that marine researchers haven’t investigated this particular mystery a bit further. Third, the region off the Oregon coastline has been increasingly low in oxygen due to a combination of eutriphication, ocean current change, and ocean warming. This fact of declining ocean health in the off-shore Oregon environment is contrary to assertions circulated in some media sources claiming that large salp blooms are a proof that the environment in the bloom region is healthy. Salp blooms follow bacterial and phytoplankton blooms. And such blooms are well known triggers for dead zone formation. Though salps tend to aid in mitigating these blooms, their presence is not necessarily a sign of healthy waters. Conversely, in the case of very large algae blooms, salps presence may indicate just the opposite. Since salps are oxygen-dependent, it’s possible that the near shore environments where wave mixing tends to oxygenate the water is a drawing these vertebrate jellies closer in due to a loss of an off shore environment healthy enough to sustain them. As with the freak appearance of pink pigmented salps at Manzanita during 2010, the widespread purple waves off Oregon during 2015 remain somewhat of a mystery. The key question as to why salps, that are known to be a clear-bodied species, are picking up a pigmentation very similar to that possessed by purple sulfur bacteria has not been answered. There’s a lot of carbon stored in the Arctic’s thawing permafrost. According to our best estimates, it’s in the range of 1,300 billion tons (see Climate Change and the Permafrost Feedback). That’s more than twice the amount of carbon already emitted by fossil fuels globally since the 1880s. And the sad irony is that continuing to burn fossil fuels risks passing a tipping point beyond which rapid destabilization and release of those carbon stores becomes locked in. At issue is the fact that most of this carbon has been stored during the past 2 million year period of ice ages and interglacials. Due to human fossil fuel burning, we are now entering a period in which the Arctic is becoming warmer than at any time in at least the past 110,000 years. And with atmospheric CO2 levels now hitting and exceeding concentrations last seen during the Pliocene of 2-3 million years ago, large swaths of that carbon store may be in jeopardy of rapidly thawing. Such a thaw would release yet more CO2 and heat trapping methane into the atmosphere. It’s something to worry over even if you’re not one of those, like Sam Carana, who’s concerned about a potential catastrophic methane release. And it doesn’t take a climate scientist to tell you that we’ve already seen some disturbing increases in methane emissions from thermokarst lakes, from permafrost regions themselves, through the permafrost and duff-destroying mechanisms of Arctic wildfires, from submerged seabed tundra in the ESS, and from the odd new features we’re now calling methane blowholes. With so much carbon stored in the permafrost, any level of warming that begins to unlock significant volumes of its massive store can result in passing a climate change point of no return. Setting off amplifying feedbacks that do not stop until much or all of that carbon is released and we’ve been propelled into new, much hotter, climate states. Given the fact that we are already starting to enter the range of Eemian temperatures — a period in which the world was as warm or warmer than now, but the Arctic stayed reasonably cooler — it’s more than reasonable to assume that such a danger is already upon us. Dr. Holmes was joined by other Woods Hole scientists in issuing this call for more research into what they now consider a growing and immediate threat (see full press release here). The generally accepted ‘tipping point’ for large permafrost store release tends to be in the range of 2 degrees Celsius. The problem is we’ve already emitted enough CO2, methane and other greenhouse gasses to warm the Earth by 2-4 degrees Celsius long term and by around 1.4 to 1.9 degrees Celsius this Century. So it appears we already have a good deal of momentum toward the accepted permafrost thaw and related carbon release tipping point. Dr. Holmes’ and his Woods Hole colleagues are calling for a focused effort to more accurately nail down that tipping point. To give us a better idea how close we really are and to provide a sense of urgency for avoiding what could best be described as a terrible brand of trouble. This is not something that is normal for typically ice-choked Barrow, Alaska. Today, 25 to 35 mile per hour winds and fetch-driven, 10-15 foot high waves are breaking through coastal barriers and flooding the streets and homes of a town that is used to far more placid seas. There’s been quite a lot of potential storm energy building in the Beaufort Sea this season. Nearby waters in the Chukchi have ranged between 3 and 5 degrees Celsius above average. Warmth, moisture and low pressure systems have flooded in from the Pacific off the back side of the Ridiculously Resilient Ridge to the south. It was a pool of warmth and heat just waiting for a trigger. As August swung toward September, the near polar regions began to cool even as the Summer sun retreated. Temperature differentials between ice free sections of the Chukchi and Beaufort and remaining ice covered regions in the Central Arctic Basin hit new extremes. And, yesterday, a strong low pressure system began to develop off the Northern Alaskan coast (see video of yesterday’s building surf here). 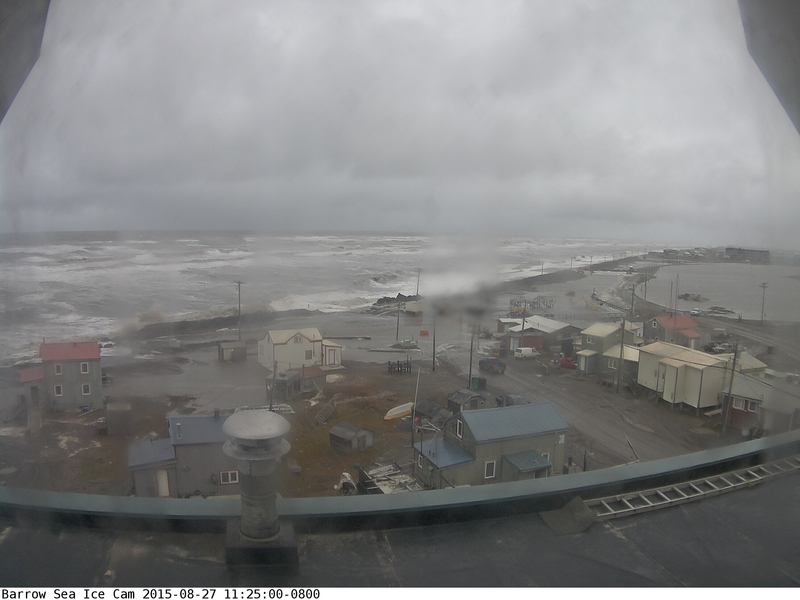 In response, Alaska weather forecasters yesterday issued a High Surf Advisory. They probably should have issued a Coastal Flood Warning instead. For by today, the low had intensified to a 985 mb system. It has wrapped its left side in 35-45 mph winds and 10-15 foot seas. Seas that are now ripping large holes through coastal barriers erected to protect Barrow from a newly ice-liberated and storm-tossed Arctic Ocean. High waves and surging seas are expected to persist, and possibly intensify, over the next 12-24 hours for Barrow. So currently observed coastal flooding may continue to worsen through tonight and tomorrow. The Northern Alaskan Coastlines, as with many Arctic shores, are used to typically placid or ice-locked waters. In the past, when sea ice dominated the Arctic Ocean during Summer, there were few open stretches of water available for a storm to generate fetch. 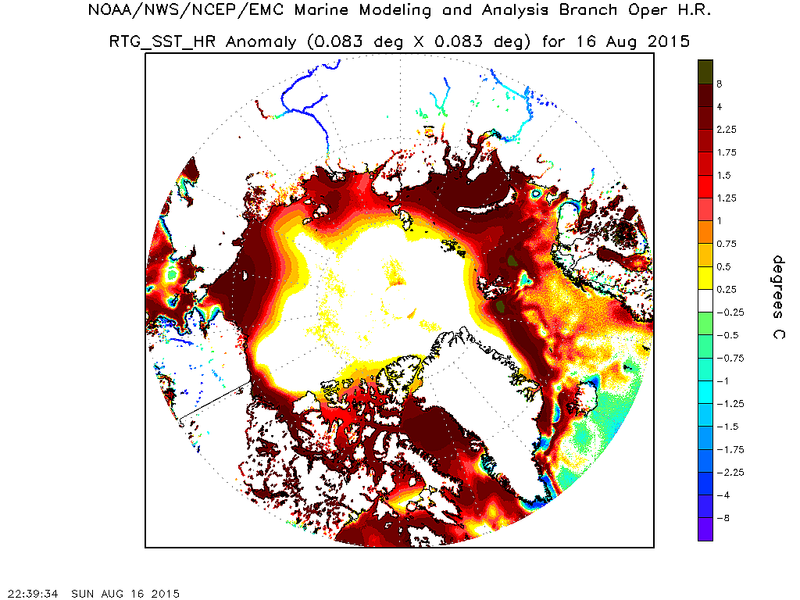 Now, vast regions of Arctic Ocean remain open for long periods during July, August and September. In addition, with high amplitude waves in the Jet Stream delivering so much heat and moisture from more southerly regions, the late Summer and early Fall Arctic is increasingly primed for storms. The result is strong storms running through open waters and generating powerful surf. Surf that is aimed at gently sloping beaches and low elevation coastlines with few natural barriers to protect against waves and storm surge. It’s a new vulnerability that today, for Barrow, resulted in a storm riled and ice free Arctic Ocean surging into streets, roadways and homes. Another climate change related situation that is new — if not at all normal. 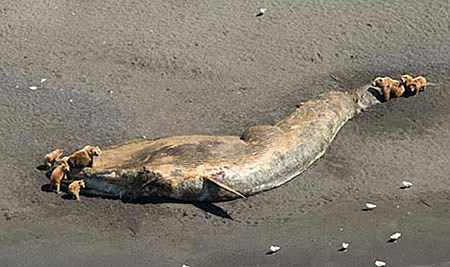 Mass Whale Death in Northeastern Pacific — Hot Blob’s Record Algae Bloom to Blame? Something lurking in the Northeastern Pacific is killing off the graceful giants of the world’s oceans. For since May of 2015 30 large whales have been discovered dead — their bloated and decaying bodies washed up on Alaskan shores. It’s an unusual mortality event featuring a death rate of nearly 400 percent above the average. So far, scientists don’t yet have a culprit. But there is a prime suspect and it’s one that’s linked to climate change. This month the US government declared an ‘unusual mortality event’ after it was confirmed that 30 large whales including 11 finback whales, 14 humpback whales, one gray whale and four other whales so bad off it that spotters where unable to identify the bodies by type were found dead. For large whales, whose numbers tend to be low due to size, low birth rates, and dietary requirements, that’s a very rapid mortality rate. 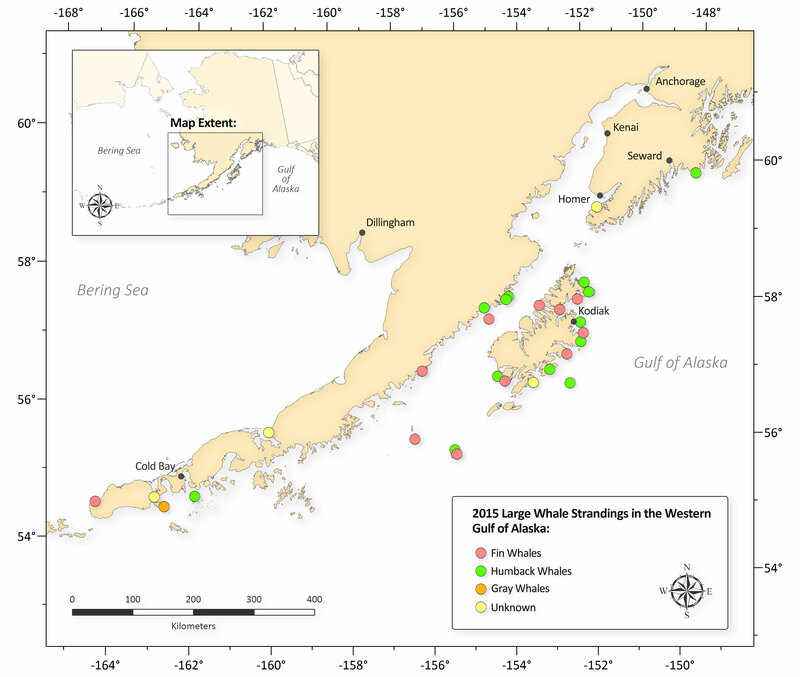 As a comparison, all of 2014 only featured four large whale deaths in the Gulf of Alaska. Starting an official investigation of this odd large marine mammal mortality event shows that scientists are somewhat baffled about what could have caused the tragic deaths of these majestic creatures. But the scientists’ investigation is not absent a suspect. For the emergence of extraordinarily warm ocean water in a region where these whales live has been linked to a number of mass sea creature die offs. This area — an expansive zone of 1 to 5 degree Celsius hotter than average surface waters — has been implicated in the mass death of starfish, in dolphin mortality events, in sea lion mortality and orphaning events, in sea otter deaths, in salmon deaths, and in the mass death of crabs and shellfish (see “Starving Sea Lion Pups and Liquified Starfish” and “Hot Pacific Ocean Runs Bloody“). Abnormally warm waters fertilized by the particulate fallout from fossil fuel based industry and climate change driven wildfires can create a host of problems for sea life. First, the warmer waters contain lower levels of oxygen — which reduces the range in which fish and crustaceans can live. Hotter, lower oxygen and zero oxygen waters also create zones and regions in which toxic microbial life thrive. We’ve talked a lot about the deadly hydrogen sulfide producing bacteria. But the expansive algae blooms of a warming, nutrient enriched ocean surface can produce a host of other toxins. Microcystins, Nodularins, Anatoxin-a, Cylindrospermopsins, Lyngbyatoxin-a, Saxitoxin, Lipopolysaccharides, Aplysiatoxins, BMAA, Hydrogen Sulfide Gas and Domoic Acid are just some of the toxins produced by algae and bacteria that thrive in warming waters, in low oxygen waters, or in waters that have been subject to high nutrient loading from increasing run-off and the fallout of nitrogen and particulates due to fossil fuel burning. In particular, this year’s record red tide has resulted in an extreme outbreak of the kind of algae that produce the deadly neurotoxin — domoic acid. And it’s this domoic acid poisoning that many are pointing to as a possible cause of excessive whale deaths. The massive algae bloom impacting regions of the Northeast Pacific threatens whales in a number of ways. First, the whales swim in the algae-filled waters. So the toxin is a part of their environment. It thus becomes unavoidable. The toxin concentrates in the bodies of the tiny sea creatures upon which the whales feed — planktonic life forms that, in their turn, feed on the toxin-laden algae. As domoic acid moves up the food chain, it bio-magnifies — becoming more concentrated. And since whales must consume prodigious volumes of small sea life to survive, the opportunity for biomagnification of toxins in whales is great. Biomagnification of domoic acid is also a threat to human beings. And it is for this reason that the US Fisheries Services have curtailed the consumption of West Coast shellfish, which can contain high concentrations of domoic acid from 2015’s record red tide. Mass whale deaths and strandings along the Alaskan coastline have, over recent weeks, garnered a great deal of attention from the public. However, these strandings and deaths do not occur in isolation. The tragic and freakish mortality events are happening in a region of abnormally hot water. A region of hot water that scientists have linked to human-forced climate change. An area in which numerous other mass sea creature deaths have occurred. The region features low oxygen waters. Waters infected by deadly microbes that have liquified starfish, crabs, and sea cucumbers. And waters that now feature the largest red tide — a massive bloom of toxic algae — on record. It should be very clear from all these related events occurring within the same region of abnormally hot water that a warming ocean is an increasingly deadly ocean. And if we are to have any hope of halting these events, we should look to cessation of fossil fuel burning and related human forced warming of the Earth System as rapidly as possible. Lake Baikal. A great 350 mile long body of water sitting amidst the lands of southeastern Siberia. It’s the largest reservoir of fresh water in the world. From the satellite eye floating far above, it usually appears as a graceful splash of blue among the green hills and plains of summertime. Contrary to Medvedev’s statement, facing off against large fires in August was not a typical situation for Russia. At least until about the mid 2000s when permafrost thaw began to really ramp up as human-forced warming of the climate provided extra heat and fuels for wildfire ignition. Since that time, Russia has been forced to deploy thousands of firefighters on a yearly basis. It’s a problem extra resources alone will not be able to solve. For the burning comes due to added atmospheric heat thawing permafrost and providing billions and billions of tons of additional wildfire fuels by turning what was once ice into a peat-like under layer. This thawing creates an understory fuel for the fires spreading over large sections of Siberia. Now, trees will often burn all the way to the roots and the newly thawed land itself will burn to a depth of three feet or deeper. Even worse, some of these fires will continue to smolder beneath the snow and ice throughout Winter — only to explode over the land once again during Springtime. 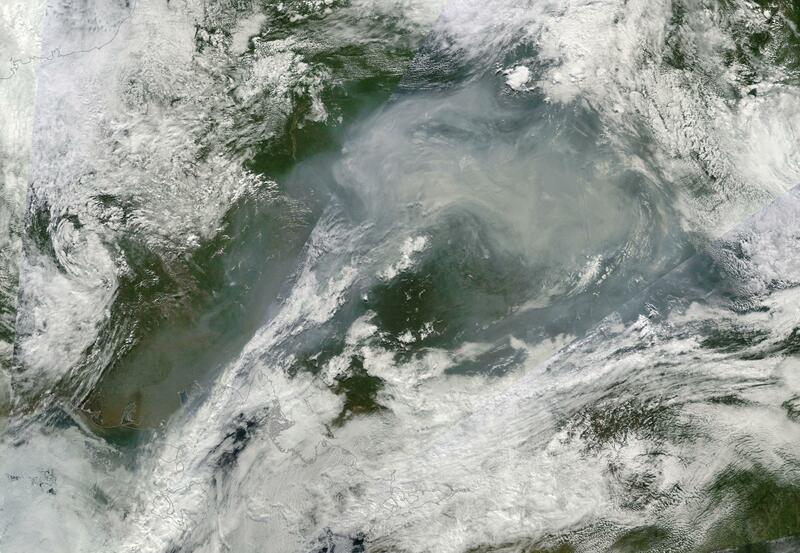 Such is all-too certainly the case with the massive fires now surrounding and endangering Lake Baikal. Medvedev’s rants aside, it’s a situation that is now endemic to the thawing permafrost itself. One we will have to deal with and one whose outcomes we can only solve if we halt carbon emissions and bring Earth back into temperature ranges that are more natural to the Holocene. Russians often call Lake Baikal ‘the Jewel of Siberia.’ It’s a jewel that contains 20 percent of all the fresh water on Planet Earth. So it’s understandable why they’re desperate to save it. But the massive fires, spewing out volcano-like plumes of smoke and ash, are, sadly, a threat to this beautiful and valuable resource. For, according to reports from Mikhail Slipenchuk — Russia’s deputy head of ecology and natural resources, near-shore burning wildfires can often cut off the lake’s water arteries. The result is a reduction of water flows to the lake and its ultimate diminishing. Unfortunately, Lake Baikal water levels were already dropping due to a combination of persistent drought and over-use of water resources well before this Summer’s epic wildfires. Now the fires cast yet another pall over one more threatened fresh water source. 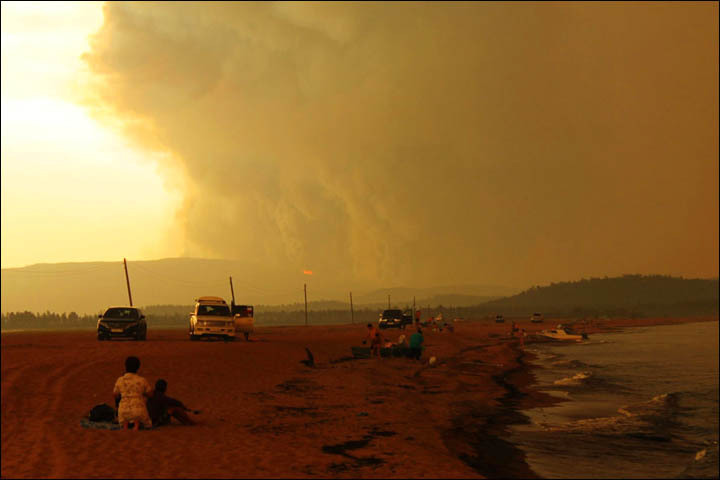 ‘It feels like doomsday’, said one eyewitness to the large fires raging all about the precious water source. 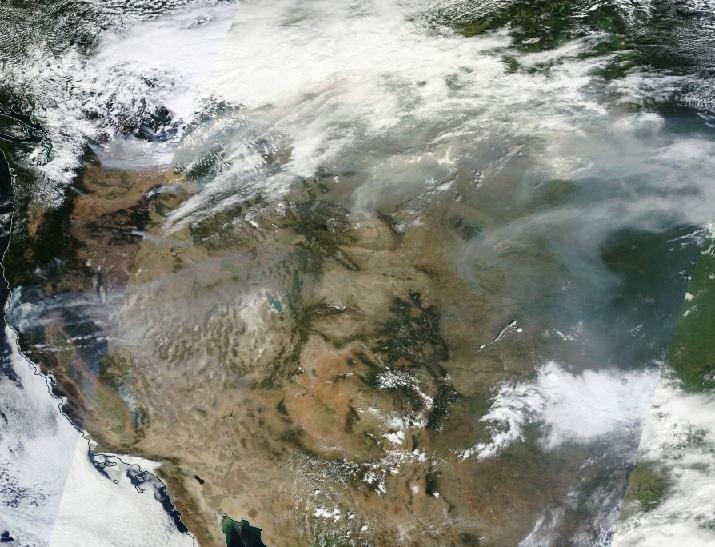 Across the Northwest US — a region known for its damp climate, its rainforests, and for often cool and wet weather — wildfires have been exploding. This summer, heat and dryness settled over the region in a months-long drought and heatwave. By late June, wide areas were seeing their worst fire conditions on record — meaning that heat and drought were generating a never-before-seen potential for wildfire outbreak. The heat settled in, baking Oregon, Washington and Montana with 90 and, sometimes, 100 degree + heat. Fires sparked and smoldered throughout June, July, and through late August. But over the past twelve days, despite amazing preparation and effort on behalf of fire officials, northwestern wildfires exploded in size by more than tenfold — erupting from about 85,000 acres in coverage to over a million acres burning as of Monday, August 24th. In a scene that has become all-too-common in a world that’s 1 degree Celsius above 1880s averages and climbing, firefighters were called in from as far away as Australia to battle the blaze. Prison inmates, firefighters from throughout the US and Canada, and National Guard Soldiers joined with the Australians to form an army to fight the blazes. Numbering more than 20,000, this force’s valiant efforts likely saved hundreds of lives and thousands of structures as fire conditions worsened in Northern California, Oregon, Washington and Montana. By Thursday, three firefighters had tragically lost their lives as President Obama was calling the situation ‘out of control.’ Through Friday, Saturday and Sunday, acres burned continued to expand as vast plumes of smoke covered large swaths of the United States. Particulates born of the western conflagrations by Monday were hazing skies as far away as Newfoundland. As the US Northwest fights valiantly to get its massive wildfires under control, the United States now finds itself in its worst fire season on record through late August. 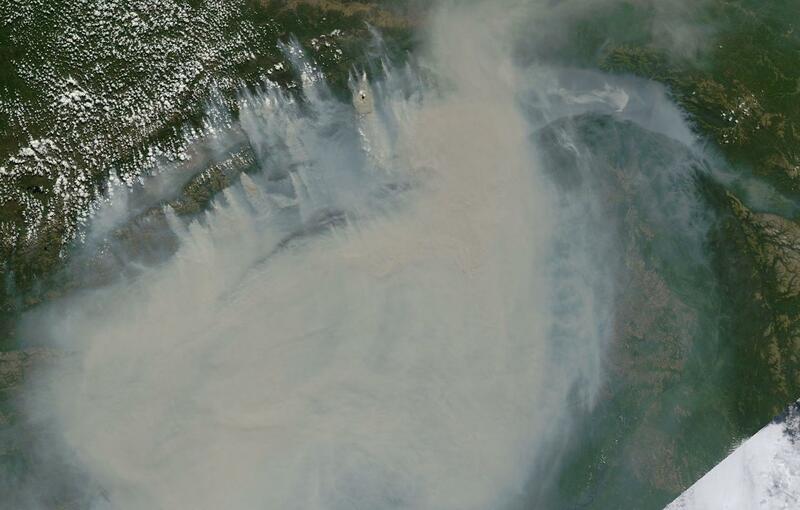 In Alaska alone more than 5.1 million acres have burned. Now, with nearly 7.5 million acres gone up in smoke across the United States since Spring, we are about 300,000 acres ahead of previous worst season 2012. The US record fire season should not be viewed as an event in isolation. Nor should it be viewed as normal — new or otherwise. It’s an upshot of extraordinarily warm waters in the Northeastern Pacific shoving hot airs northward into regions that typically experience cool, wet weather. The climate of the Desert Southwest has been forced into Northern California, Oregon, Washington, and Montana. And the result is that forests, already weakened by rising atmospheric nitrogen levels, and not accustomed to such heat and dryness, are at ever-greater risk of fire. Added dangers and stresses that are the direct upshot of human-based fossil fuel burning and human-forced global warming. 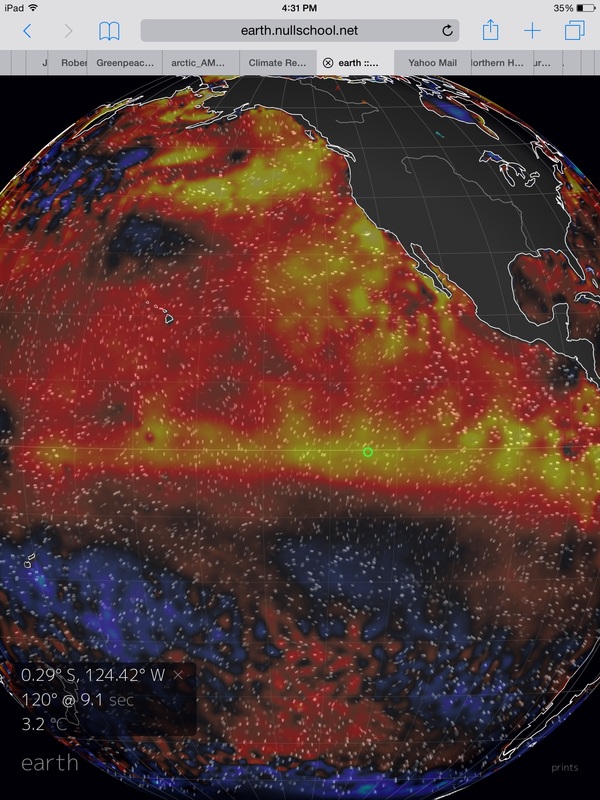 What does a Monster El Nino look like? In two words — climate change. And by the end of August climate change’s Monster El Nino may have spawned two strong tropical cyclones and hurled their powerful remnant systems into the Arctic. The Equatorial Pacific is cracking wide open. Heat, at near new records for August, is oozing out. In the Nino 3.4 zone last week, the heat bleed hit a new intensity of + 2 degrees Celsius above average. That puts our current El Nino easily in the running for one of the top three strongest. And the warming there is expected to continue through at least October — possibly setting up conditions in which the 2014-2016 El Nino is the most intense and perhaps longest-running such event ever seen. Scientists have long warned us about this. Warned us that increasing global temperatures through ongoing fossil fuel burning could greatly amplify the intensity and the frequency of strong El Nino events. A recent paper published in Nature has continued this line of research finding that, under human-forced global warming, the frequency of strong El Ninos is doubled. And, right on queue, the 2014-2016 El Nino is shaping up to be one of the nastiest, if not the nastiest such event we’ve yet experienced. But it’s not just a question of the intensity of heat boiling out of the Equatorial Pacific. It’s also a question of how a strong El Nino behaves in a world that has been forced to warm by 1 degree Celsius. According to Dr. Jennifer Francis, a significant portion of that extra heat has tended to focus in the Arctic. And this extra Arctic heat has, among other things, gone to work weakening the Jet Stream. In some regions, as we see today over the entire Northeastern Pacific, the tendency has been for powerful high amplitude ridges to form. The ridges often extend all the way into the Arctic — developing pathways for yet more heat to hit the high polar zones. Like El Nino, the ridge over the Northeastern Pacific is involved in an ocean-atmosphere dance. It’s a dance that includes widespread and abnormally warm water (see hot blob strengthens). And it’s a dance that includes the powerful impact of a Monster El Nino stalking the equatorial zones. 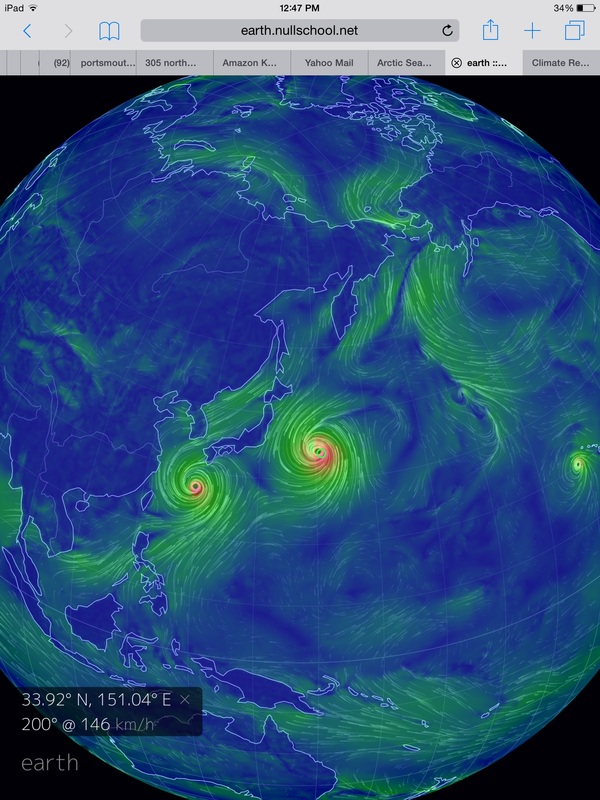 Last week, this atmospheric dance included the formation of two tropical cyclones. Feeding off the powerful convection rising up over the Equatorial Pacific, these massive cyclones gathered intensity from the easterlies rushing in to feed the El Nino. They steamed north and westward. By today, Typhoon Goni was threatening the Philippines and Taiwan with 125 mph sustained winds. Meanwhile, Super Typhoon Atsani’s 150 mph sustained winds were tearing through Pacific Ocean waters east of Guam. Over the next few days, the typhoons are expected to turn north and eastward. Goni is predicted to skirt the Philippines, Taiwan and Japan. Atsani is expected to remain over open waters to the east of Japan. Both are heading toward the hot, northward moving airs on the backside of the Ridiculously Resilient Ridge. 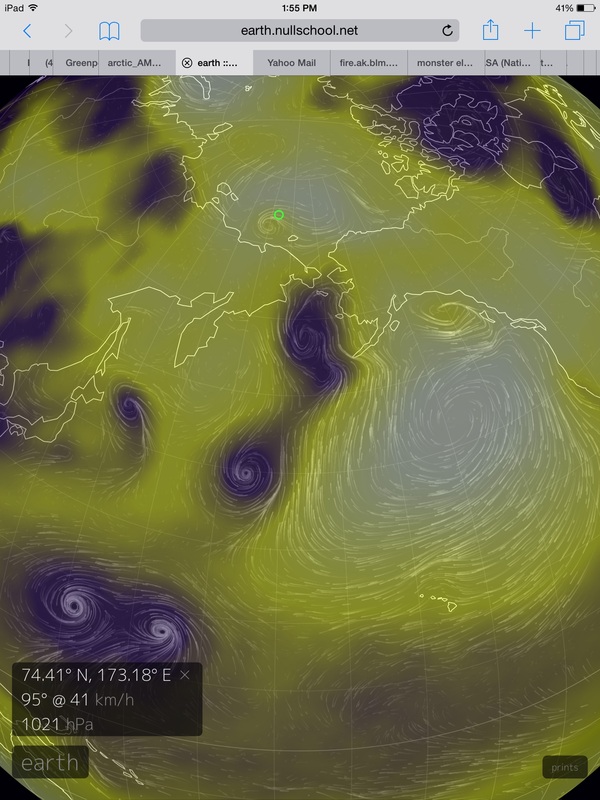 Currently, the Ridge is positioned over the Northeastern Pacific Ocean hot pool just south and east of the Aleutians. It’s a strong and very deep high pressure system that’s expected to maintain in the range of 1035 to 1040 mb over the coming days. 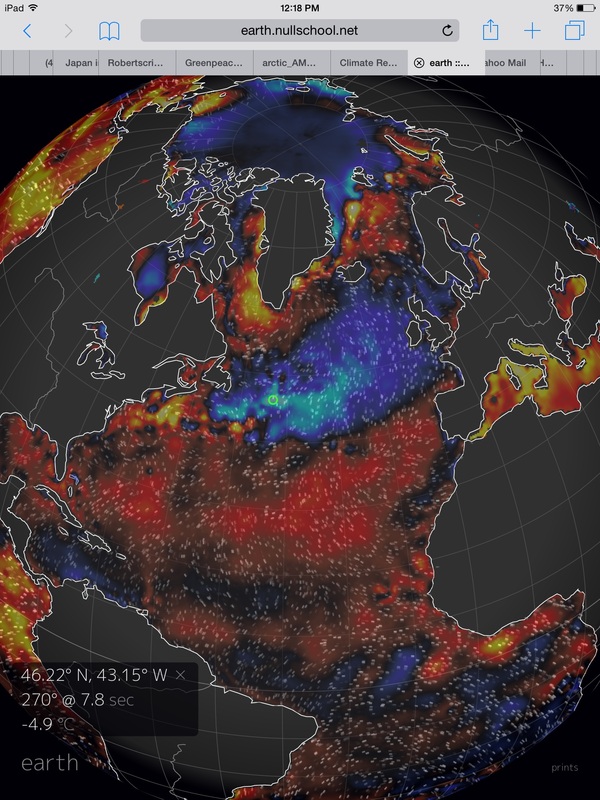 It’s dredging up the hot El Nino airs of the Equatorial Pacific and flinging them all the way to the Arctic Ocean. Atsani is expected to plow into the back of this atmospheric wall of hot airs and to then follow the warm flow northward — approaching the Bering Sea edge by next Thursday as a powerful 960 to 970 mb extra-tropical low with Goni’s remnants following in its wake. If Atsani’s remnants enter the Bering as predicted, it will then either track through Alaska or enter the southern Chukchi and Beaufort Seas. At that point, the strength and disposition of the Arctic high will determine its final path. If the high recedes closer to Greenland and the Canadian Archipelago, Atsani’s extratropical system could be projected into the Arctic Ocean proper as a late season cyclone threatening the sea ice. If the Arctic high is more centrally located, Atsani’s remnants would plow down into the facing trough over Western and Central Canada — bringing with it some very stormy weather. As with last week, we continue to see this odd tendency for a storm track to develop from the Western Pacific through to the Bering Sea, Alaska, and the Arctic itself. It’s a teleconnection-driven atmospheric dance between a powerful summer El Nino, the hot blob of water over the Northeastern Pacific, and the Ridiculously Resilient Ridge riding over top. With such a pattern so firmly entrenched, there’s a risk that this storm track will maintain well into Fall and, perhaps, persist into Winter with Alaska as the destination for Pacific storms. Under such a pattern there is little hope for drought-busting weather to reach California. Which would mean a continuation of terribly dry conditions there unless our Monster El Nino can somehow squash the extraordinarily dogged RRR. Meanwhile, for the Arctic, the risk of powerful storms plowing through weak, late season ice is looking a little bit less like an outlier event and more and more like a possibility for end August. So we’ll have to keep a close watch on Atsani, Goni, the RRR and the Arctic High. According to Caribbean leaders, it’s a disaster that will take at least 100,000 people and 120 million dollars to clean up. 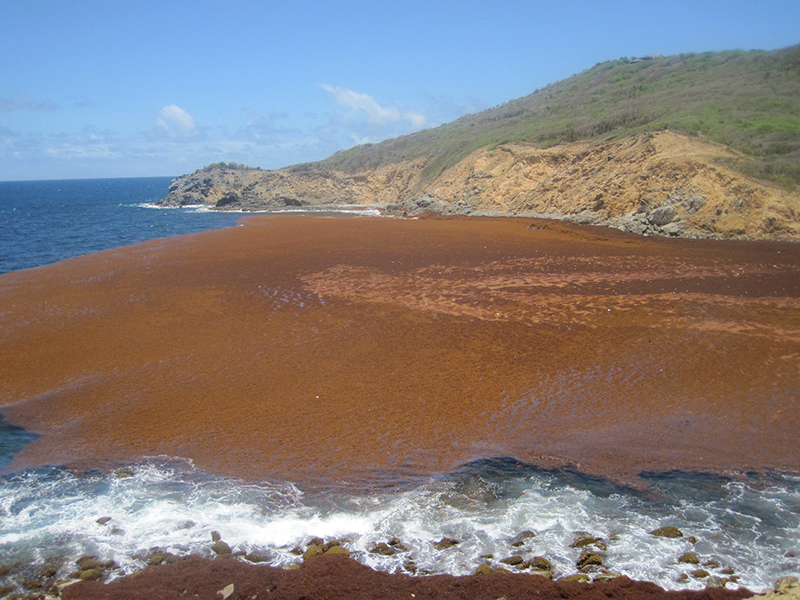 And disaster may not be the best word to describe it — for an enormous Caribbean beach and water choking bloom of sargassum algae may be a new abnormal ocean condition. Yet one more dangerous upshot of a warming world. The story, in this case, begins with an enormous mat of algae called the Sargasso Sea. This vast collection of organisms has at its foundation two forms of algae that produce inter-connected floating masses of seaweed. The mats collect and link together in an Atlantic Ocean Gyre — forming a vast region off the United States Coast. Ancient sailors crossing the Atlantic during the dawn of North American colonization often passed through the Sargasso Sea. It tended to be a notable feature of their travels as the floating mats were sometimes dense enough to halt the progress of vessels. For hundreds of years the enormous collection remained a mystery. 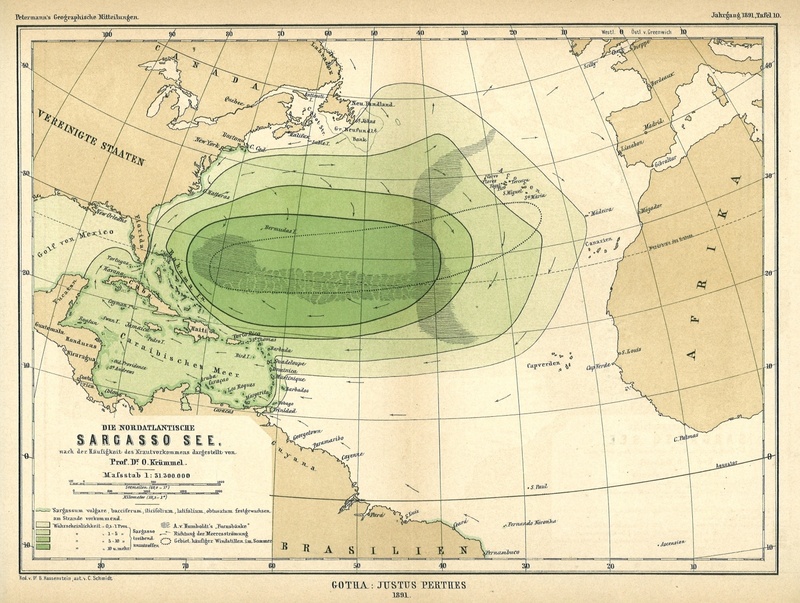 But by the 20th Century researchers had found that the seaweed was transported by the Gulf Stream from the Gulf of Mexico and Carribean into an area just south of Bermuda. There it bloomed as it fed on nutrient-laden run-off spreading outward from the large estuaries of the North American Continent. The sargassum then efficiently recycled these nutrients to support a vital community of hundreds of sea creatures and birds. The Sargassum algae that make up the Sargasso Sea are not only native to this region. It ranges the tropical and subtropical zones of the Atlantic — blooming wherever there is warmth and nutrients to support it. Lately, there have been signs that biodiversity in the Sargasso Sea is falling. Recent research expeditions are noting fewer and fewer of the species traditionally supported by the sargassum mats. It’s a potential sign of failing ocean health. One that is, perhaps, linked to the massive accumulation of sargassum in the Carribean during recent years. Due to its highly efficient use of nutrients, pelagic sargassum thrives in warm, well-fertilized waters. And lately, as the Earth has warmed, run-off into the Atlantic Ocean habitats of the sargassum has increased. Added heat in the atmosphere has resulted in greater instances of heavy downpours. These downpours increase erosion — flushing more nutrients into streams and rivers. In addition, fertilizer-based farming industry leaves soil laden with phosphates and nitrogen. So the heavier downpours are now raining over lands that are artificially loaded with nutrient. Adding to the fertilizer flush is a constant rain of nitrogen particle fallout from an immense and global burning of fossil fuels over the world’s waters — a third new source of nutrient that wasn’t there for the sargassum to access before. Finally, an added warmth in the surface waters due to greenhouse gasses forcing the world to heat up by 1 degree Celsius over the past 135 years creates a yet more ideal environment for the sargassum to grow and bloom. Reports now indicate that much of the seaweed choking off the Caribbean’s beaches and waters is issuing from a region east of the Amazon River outflow. These reports hint that deforestation, a resulting increase in erosion of Amazon Rainforest soils, and the rise of industrialized farming in Brazil may also be playing a role in the current epic bloom. 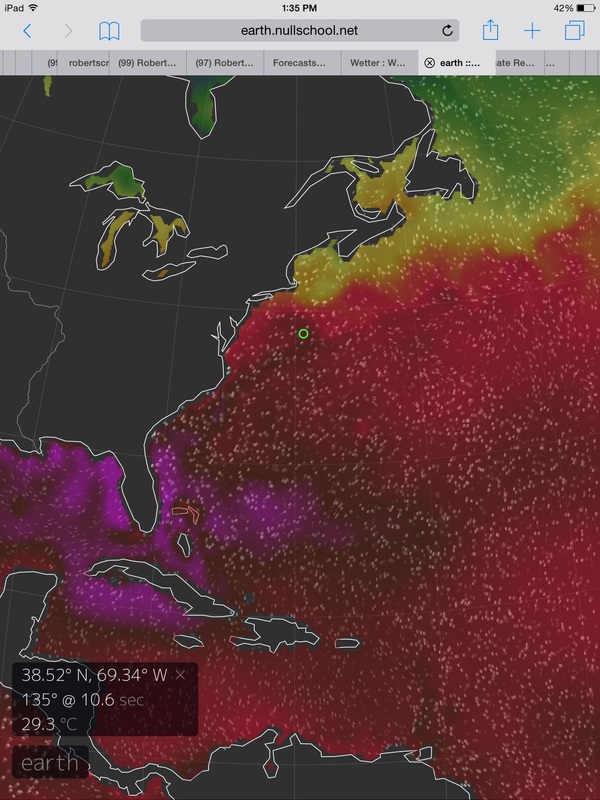 Finally, there is growing evidence that the Gulf Stream current — a transporter of sargassum out of the Carribean and Gulf of Mexico may be slowing down as thermo-haline circulation weakens. All these factors — the warming waters, the increased nutrient loading of the surface waters, and the reduction of sargassum transport due to Gulf Stream slowing — combined hint at a sargassum seaweed train wreck whose epicenter is the Caribbean Sea. Over recent years, it’s thought that these factors combined to help generate a massive bloom of sargassum in the Caribbean. As early as Fall of 2014 reports had been trickling in of 3-4 foot thick mats collecting along Caribbean coastlines and piling up on beaches. By August of 2015 the mats have grown to as dense as 10 feet thick. Now vast swaths of beaches are covered in the sulfur-stink of this great pile of dying biomass. Typically sargassum is a vital part of the life-giving system of the Atlantic Ocean. Numerous species of fish, including tuna and jacks, rely on the food provided by the prolific algae. Birds, turtles, and scores of invertebrates also rely on the algae in one way or another. But when the algae becomes too prolific it turns from boon into curse. Sea turtle nests become fouled with the stuff. New hatchlings often are unable to clamber through the dense piles to reach the sea. The dense tangles reduce the mobility of larger animals including sharks, rays, and adult turtles. And when the piles become too thick large sections of the sargassum are cut off from light and nutrients. The result is that the large masses can contain oxygen deprived zones where the dead matter decays. These little pockets host hydrogen sulfide and other sulfur producing bacteria — further toxifying the waters and resulting in the now prevalent reports of a ‘rotten eggs’ smell near the sargassum piles. But, as with so many of the disasters cropping up these days — simply reacting to the symptoms (be it sargassum, or drought, or flood, or mass migration, or sea level rise, or wildfires, or species endangerment, or a thousand other issues related to human fossil fuel emissions and a great heating of the atmosphere and oceans) does not address the root cause. And for that you need a rapid cessation of fossil fuel burning. The volcanic Mt Rainier is grumbling. But it’s not what you think. At least not yet. According to reports from the Seattle Times, the glaciers atop Rainier have melted to the point where they are becoming unstable. Particularly so with Tahoma Glacier which, all throughout July to mid August, has emitted large floods of muddy, ice-choked water. Tahoma sent its floods rumbling down the mountainsides, filling streams and rivers with roiling, brown outflows. These glacier outburst floods issuing from Rainier have packed quite a punch. They’ve been strong enough to shake the earth, setting off seismographs in the region of Rainier. It’s a shaking and quaking that’s tumbled boulders down the mountainside, gouged out new flood channels and smashed great swaths of trees. Back during the 1980s and 1990s, Rainier went through a similar period of warming-stoked glacial destabilization. Now, the heat is even worse. 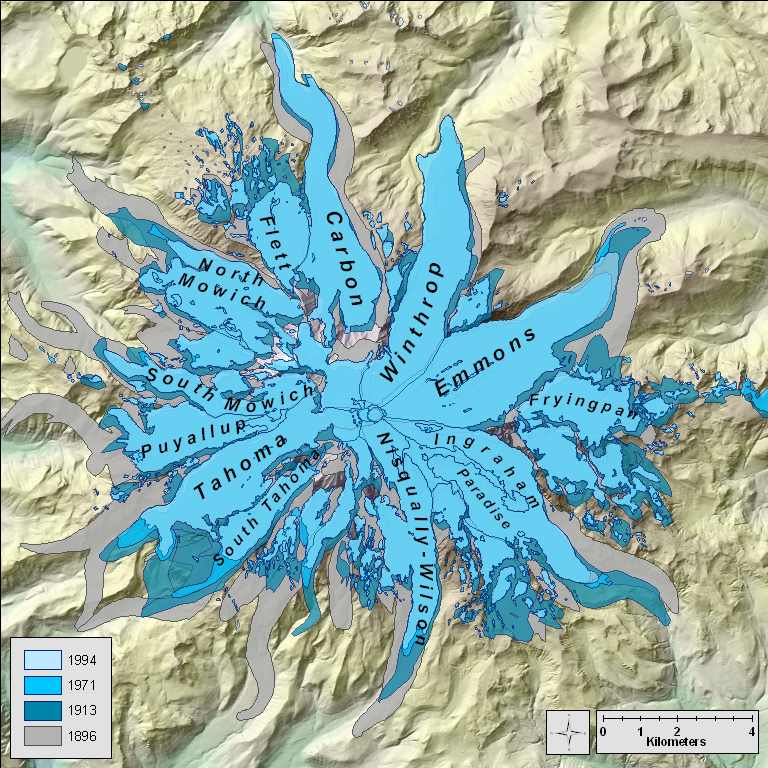 A new phase of glacial retreat has isolated Tahoma and set it on path toward more rapid melt. It may mean that coming years and decades host a ramping of glacier outbursts for Rainier. It may also mean a changing of the weight loading atop Rainier’s volcanic vents and magma chambers. Setting up a rising risk for increased volcanic activity from Rainier as its overburden rocks and underlying magma structures develop a new equilibrium. Recent, though rather controversial, science has established a link between glacial retreat over and near volcanic systems and increased volcanic activity. In particular, studies focusing in on Iceland have linked periods of glacial melt with increased periods of volcanism. Though it is uncertain whether Rainier will succumb to the added stresses of glacial melt and respond by entering a new period of volcanic awakening, the melt human warming is setting off does provide a new stress to one of the most dangerous volcanic systems in the western US. In other words, Rainier’s grumbling glaciers are bad enough without adding in a volcanic bassline. How Will Melting Affect Volcanic Hazards in the 21st Century? Earlier this week President Obama made one of the worst decisions of his presidency. He decided to ignore the concerns of thousands of protesters and more than 60 percent of the American public over the issue of climate change. He decided to approve a dangerous plunging of new wells into unstable, clathrate-laden seabeds in the Arctic. Effectively, he’s deciding to play a dangerous game of chicken with a natural world that’s been riled and wounded by climate change. And in this game he puts us all at risk. It’s a bad move that sends all the wrong signals. It demonstrates an attachment to the old, limited resource dominance based, policies that cause so many problems and that keep us dependent on fossil fuels for far too long. To this point, each new productive well, each new coal plant, each new gas fired plant, each new internal combustion engine extends the lifespan of fossil fuel burning. And that’s something we shouldn’t be investing in at the moment. We are pushing well past the dangerous 400 parts per million CO2 threshold. Adding all other greenhouse gasses together, the gross heat trapping is now equivalent to nearly 485 parts per million CO2e. Even maintaining these thresholds will raise the world’s temperatures by as much as 3.8 C over 500 years (and possibly break the 2 C threshold this Century). 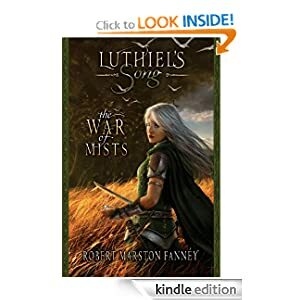 And that’s if the world’s carbons stores, long buried in ice beneath glaciers, permafrost and cooler seas, long kept safe within healthy forests, do not release through the warming and burning that will come under such a major jump in temperatures. We have a window now. A brief window where we can draw down carbon emissions fast enough to allow some of that excess of heat trapping gasses to fall out. To give our ailing oceans and biosphere the chance to take up some of that carbon and prevent this very high risk scenario. But taking advantage of that window involves saying farewell to the age of fossil fuel burning. Obama has done many good things with regards to climate change. Many things madcatter, drill, baby, drill republicans would have never done. He’s using the EPA to regulate carbon, he’s committed to cutting overall carbon emissions by more than 30 percent through 2030 (which is, I have to say a good move, but not fast enough), he’s pushed CAFE standards through the roof, and he’s helped to drive solar energy prices lower even faster than they would have been lowered otherwise. He’s at least helped to delay the Keystone Pipeline. 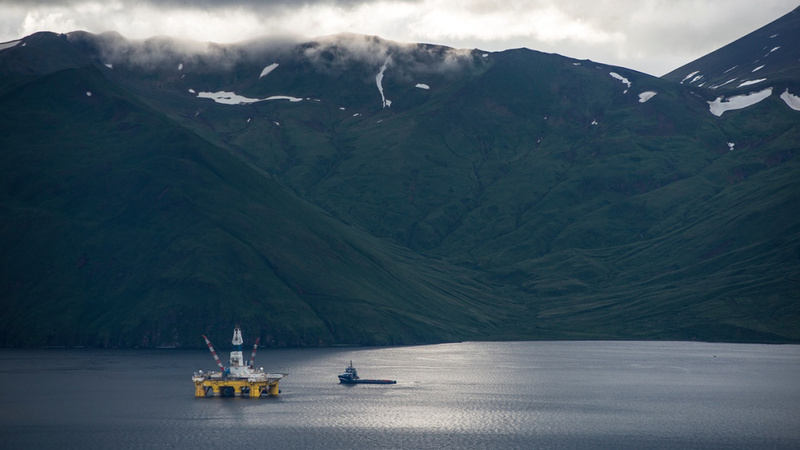 But, sometimes, as with fracking, as with other new pipeline construction, and as with the Shell Arctic drilling expedition, his policies cut against the grain of a necessarily rapid reduction in carbon emissions. Such backsliding is shameful and there is, at this time when human caused climate change is displacing people, on average at the rate of 8,000 each day, when heatwaves are now killers that stretch hospitals to the breaking point, when we have crossed or are crossing the Eemian boundary which implies a 20-25 feet of sea level rise for our cities and islands, when James Hansen’s storms are brewing in the North Atlantic, and when a monster El Nino is cracking wide the Pacific to ooze out yet more heat, there is absolutely no excuse for it. Obama is not like republicans. He, unlike that mad beyond nightmares political set, is at least influenceable, at least somewhat sensitive to the great dangers we’ve stoked to new life. For his support relies, in large part, on those of us who are very concerned about climate change. And for the backward action of the Shell approval our appropriate response is shaming. We need a leader who’s a climate hawk — not someone who’s going to risk our future and our children’s future in a dangerously irresponsible game of climate chicken. High wet bulb temperatures and related heatwave mass casualty events have spanned the globe during the record hot summer of 2015. Now, it appears the Southern United States is also falling under the gun of life-threatening heat and humidity. As with so many recent heatwaves with the potential to produce mass casualty events, the story starts with sea surface temperatures in excess of 30 degrees Celsius (86 Fahrenheit). 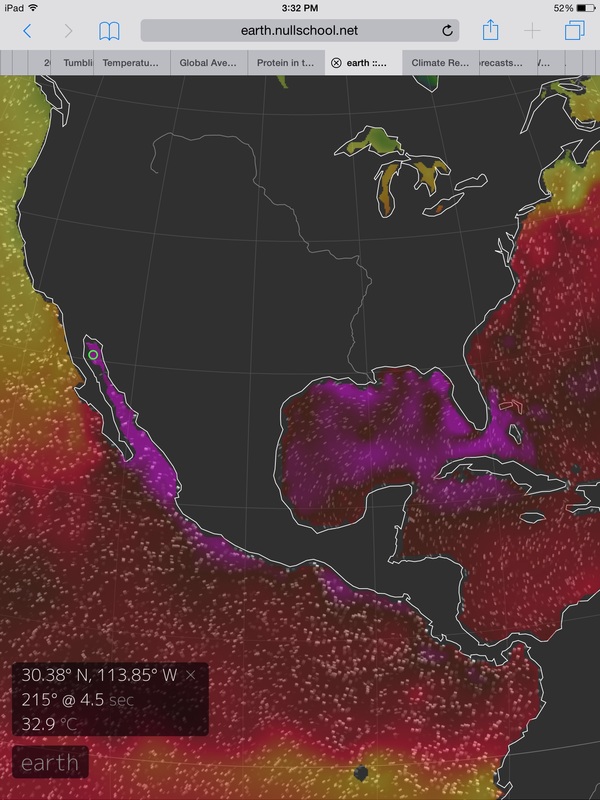 And across a broad region of the Gulf of Mexico and all throughout the Gulf of California ocean surface waters now feature temperatures in the range of 30 to 33 degrees C (86 to 91 F). These are waters warmed by increasingly vicious human hothouse conditions. A world ocean facing a global fever that is 1 degree C (1.8 F) hotter than the more placid, less dangerous temperatures of 135 years ago. In the Gulfs of Mexico and California, this heat has concentrated — pushing the waters there into 1-4 C above average ranges. Generating a dangerous reservoir of latent heat. One featuring ocean temperatures similar to those that kicked off heatwave mass casualty events in India, Pakistan, Japan and Egypt this summer. But this feature of the human hothouse is now focusing in on the Southern US — creating conditions that are increasing the risk of heat stress, heat injury and possibly loss of life. The steaming waters of our southern gulfs will feed dangerously high wet bulb temperatures throughout a large region from the Carolinas to Florida through the Gulf States and on into the Southwest over the coming days and weeks. Ocean temperatures hot enough to support wet bulb readings in the range of 30 to 33 degrees Celsius. Dangerous levels very close to the maximum human threshold of 35 C.
Concordantly, a similar measure used to determine how hot it feels outside is set to skyrocket throughout the southern US over coming days. In many regions heat indexes are predicted to exceed 100, 105, 115 or even 120 degree readings. Regions at greatest risk include Southern California, Arizona, and the Gulf Coast states of Texas, Lousiana, Mississippi, Alabama, Georgia and Florida. Heat index values in excess of 105 F (40 C) are considered dangerous. Those crossing a 127 F (53 C) threshold are considered exceedingly dangerous. The NOAA forecast now includes dangerous heat indexes predicted for the above regions lasting for at least the next seven days. And with sea surface temperatures likely to remain much hotter than average near the area of highest impact through the end of August, these high-risk heat conditions have the potential to continue for some time. Andrew Freeman is right. It’s been a cruel, cruel summer. Hothouse mass casualty events, spurred by a ridiculous accumulation of heat trapping gasses in the Earth atmosphere, have spanned the Northern Hemisphere. The result has been thousands of lives lost and the hospitalization of tens of thousands more as global temperatures rocketed to levels not seen in probably 100,000 years (related — Hothouse Mass Casualties Strike Egypt). Now, in a record-shattering hot year featuring extreme weather weirdness and an emerging monster El Nino, yet one more record has fallen. For according to both NASA and Japan’s Meteorological Agency (JMA), July of 2015 squashed and smashed previous record hot Julys 2011 (NASA) and 1998 (JMA) to take the title as hottest July yet. 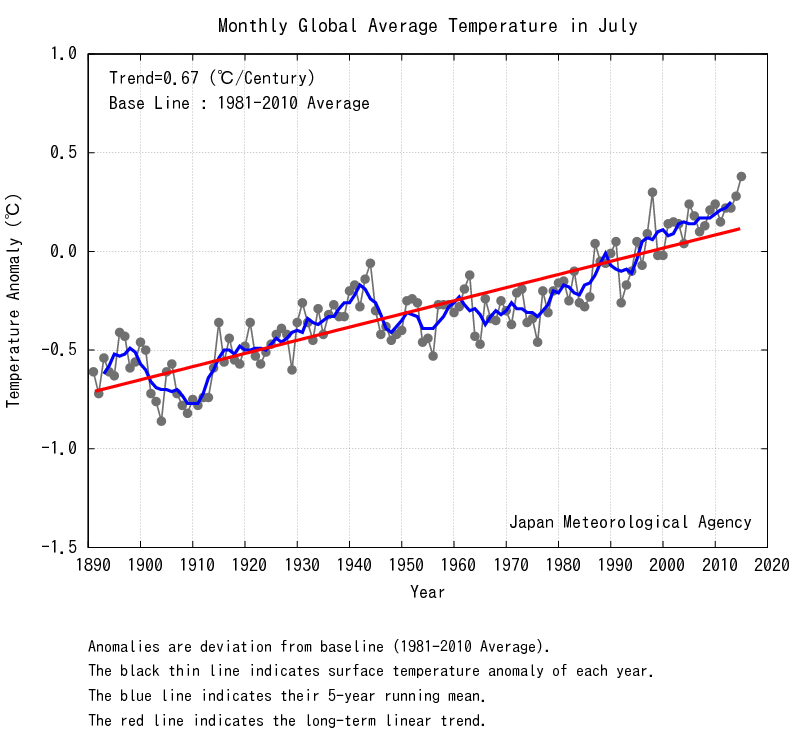 In the JMA graph, beginning in 1890, you can plainly see the new July record is well above the +0.67 C per Century warming trend line of the last 125 years. A new high that leaves the 1998 super El Nino year in the dust. For JMA, that’s 0.72 C above the 20th Century average and about 1 C above 1890. For NASA, global temperatures also hit a similarly hot range. July of 2015 was 0.75 C above their 20th Century base line — putting it at about 0.95 C hotter than 1880s values when annual record keeping began. Now we only wait on NOAA’s report coming out in a few days for a final confirmation of this obscene July heat. Focusing in on the NASA measure, we find that January through July temperatures are setting a course for a record shattering 2015. Overall, global temperatures during that seven month period were 0.8 C above NASA’s 20th Century benchmark and about 1 C above 1880s values. A level of heat that, if it were simply maintained, would beat out previous record hot year, 2014, by a substantial margin (0.07 C). To the layman, these may seem like small numbers except when one considers that just 3.5 C of cooling from Holocene climates means the start of a new ice age. In just 135 years we’ve hit 30 percent of the difference between the Holocene and an ice age — but on the side of hot. Moreover, an annual temperature climb of 0.07 C equals 7 degrees Celsius warming if maintained for one Century. So a one year jump in that range is a pretty wide margin, especially when we consider that we’re now experiencing back-to-back hottest years on record. Geospatially, the representation of hot and cold temperature extremes in the NASA map hints at an absolute mess for July weather patterns. 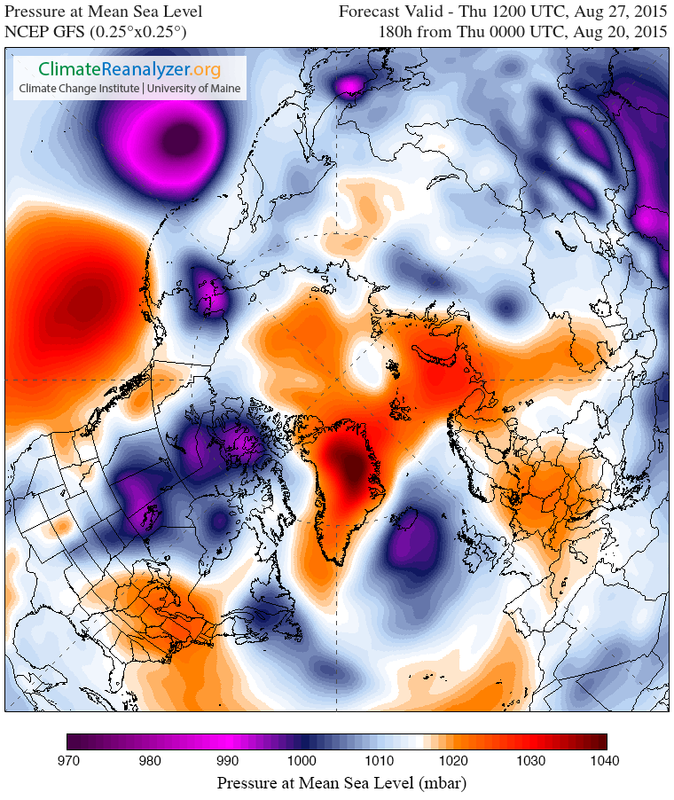 While abnormal and extreme warmth dominated the East Siberian, Chukchi, and Beaufort airs, a plug of below average temperatures hovered over the Laptev. Two substantial chimneys of heat extended into the Arctic — one exploding up from the Hot Blob in the Pacific and another stretching diagonally over the Lake Baikal region of Russia (Related: The Dry Land Burned Like Grass). Most of Western Europe baked while the Yamal region cooled. In the North Atlantic the Climate Change signature and storm generating cool pool maintained — gearing up to throw a few wicked cyclones at the British Isles in the midst of, what should be placid, summer. And all across the equatorial region anomalous heat built — pushing monthly temperatures from 1-4 degrees Celsius above average in some of the typically hottest regions of the world. 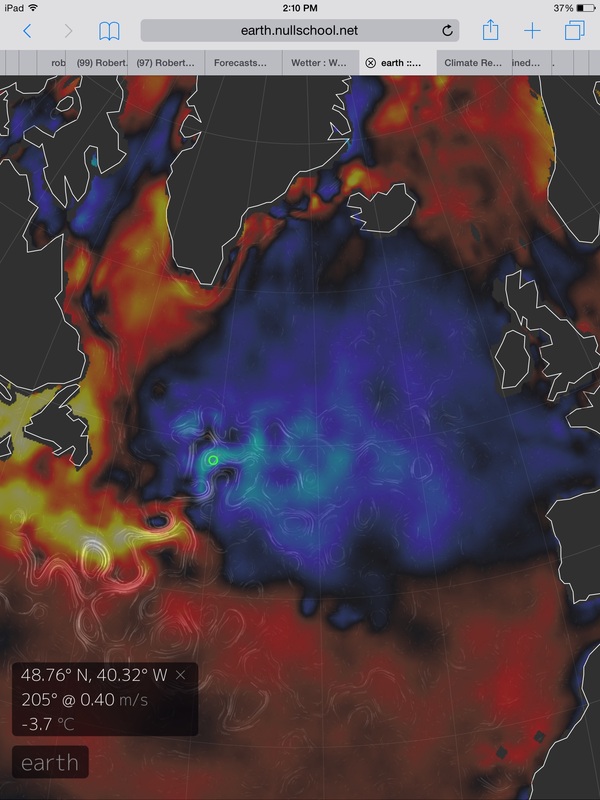 In this analysis we must pause for a moment to point out the awesome and terrible wave of heat building up from the Eastern Equatorial Pacific, telegraphing through the Hot Blobs off the North American West Coast and extending on up through the Bering Sea. A teleconnection feature that must fall if California is to have any hope of receiving a drought busting set of storms this Winter — monster El Nino or no. The mid-to-equatorial latitudes of the Southern Hemisphere were also abnormally warm with few regions showing any departure into cooler than ‘normal’ in this zone. Meanwhile, the Southern Polar Region was a mess of hot ridges and cold troughs indicative of a very wavy Jet Stream pattern for the zone. In particular, a ridge blazing south through the Weddell Sea set off some much warmer than normal readings for Coats Land and the Ronne Ice Shelf. In the NASA zonal map, we can clearly see the signature of El Nino. Equatorial temperatures are the hottest in the measure pushing to +1.3 degrees Celsius above average over the world’s belt-line. To the north, heat gradually tapered off — still maintaining near +1 C through the 40 degree line before dipping down to around +0.8 to +0.3 C in the 50s, 60s, and 70s and then rising again to around +0.7 C at the pole. To the south, anomalies rapidly plunged throughout most zones — dipping to +0.35 C in the range of the furious fifties (50 degrees South Latitude). In the oceanic heat sink region where fresh and icy water met the warmer, saltier waters of the Southern Ocean, heat uptake by that ocean-atmosphere interface hit an extreme level as negative zonal anomalies spiked to -1.4 C in the range of 65 South Latitude. This ocean heat uptake and related atmospheric cooling is associated with a global warming related fresh water outflow due to Antarctic glacial melt — the Southern Hemisphere version of the North Atlantic cool pool. Zonal temperatures swing again higher, hitting +0.6 C at the land glacier edge in the region between 70 and 80 South, before dipping to around -0.7 C in the Antarctic interior near 90 South. During the record hot July of 2015 temperature and weather hit new extremes. Variation between hot and cold temperatures became greater over many regions of the globe as hot and cool pools grew in prominence and related weather influence. Glacial melt and ocean current change related cool pools dominated the North Atlantic and a band near 70 South in the Southern Ocean. Meanwhile, extreme equatorial heat associated with El Nino developed teleconnections with high amplitude ridges — especially with the Hot Blob related Ridiculously Resilient Ridge over the Northeastern Pacific. In addition, a synergy developed between high ocean temperatures, related high humidity, and a number of dangerous heatwaves. Near record and record hot waters in the regions of India, Pakistan, and Japan synergistically enabled deadly, mass-casualty producing heatwaves in those regions. This is due to the fact that hot waters enable higher wet bulb temperatures over land — pushing wet bulbs, at times, close to the human survival limit of 35 C.
With Global temperatures now at 1 C above 1880s levels we begin to witness hints of what a human-forced hothouse may look like. But what we see now are only the early, easy outliers. 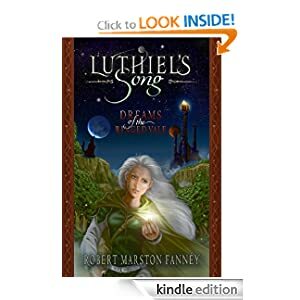 Tumbling Down the Rabbit Hole Toward a Second Great Dying? World Ocean Shows Signs of Coming Extinction. The last time Earth experienced a Great Dying was during a dangerous transition from glaciation and to hothouse. We’re doing the same thing by burning fossil fuels today. And if we are sensitive to the lessons of our geological past, we’ll put a stop to it soon. Or else doesn’t even begin to characterize this necessary, moral choice. The Great Dying of 252 million years ago began, as it does today, with a great burning and release of ancient carbon. The Siberian flood basalts erupted. Spilling lava over ancient coal beds, they dumped carbon into the air at a rate of around 1-2 billion tons per year. Greenhouse gasses built in the atmosphere and the world warmed. Glacier melt and episodes of increasingly violent rainfall over the single land mass — Pangaea — generated an ocean in which large volumes of fresh water pooled at the top. Because fresh water is less dense than salt water, it floats at the surface — creating a layer that is resistant to mixing with water at other levels. This stratified ocean state began to cut the life-giving thread of the world’s great waters. Reduced mixing meant the great ocean currents slowed. Oxygen transport into the depths declined. 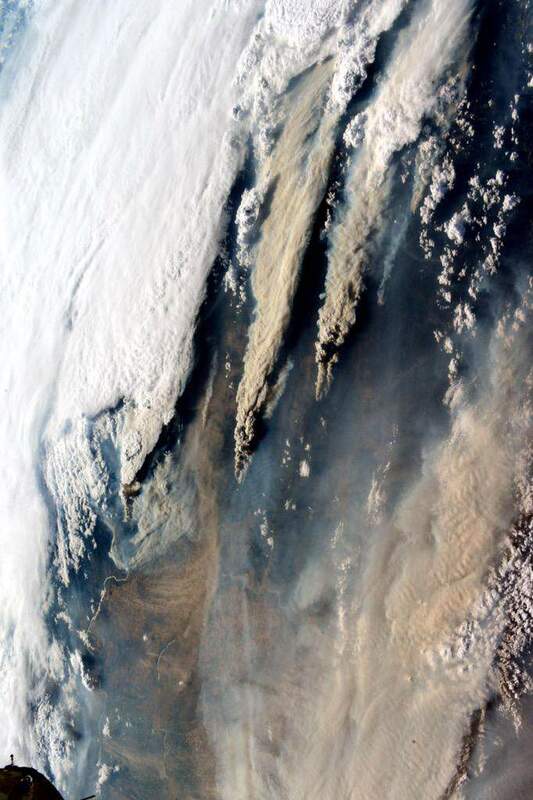 Moreover, a constant rain of debris in the form of particulate matter from burning forests and nitrogen oxides from the smoldering coal beds fertilized the ocean surface. Food for algae also came from increasing continental run-off. And a spike in iron loading due to glacial melt added yet more fertilizer. Great microbial blooms covered the world ocean, painting its face neon green, blue, or blood red. Rising CO2 levels increased ocean acidification even as the blooms spread toxins through the waters. When the blooms finally exhausted all the available food in their given region, they died off en masse. And by decay they further robbed the waters of life-giving oxygen. At this point the strains to ocean life became extreme and the first mass deaths began to occur. The stress opened pathways for disease. And the warming, de-oxygenating waters forced migrations to different Latitudinal zones and ocean depths. What life there was that couldn’t move, or couldn’t move fast enough died in place. At first, ocean deaths appeared prominently in the bottom regions that saw the most rapid declines in oxygen levels and the swiftest increases in temperatures. For not only did the fresh water at the surface of the world’s oceans prevent mixing — it also prevented the oceans from ventilating heat into the air. Instead, the ocean heat was increasingly trapped at depth. Aiding this process of heat transport into the world’s deeps was a bottom water formation that issued from the hot Equator. There, evaporation at the surface increased saltiness. The heavier, hotter, saltier waters sank — carrying with them the Equatorial surface heat which they then delivered to the ocean bottom. The hot, low oxygen bottom water became increasingly loaded with methane as the heat activated frozen stores. It created an environment where a nasty little set of primordial, hydrogen sulfide producing, creatures could thrive. These little microbes cannot live in oxygen rich environments. But warm, anoxic bottom waters are more like the ancient environments from which they emerged. Times long past when the world was ruled by microbes in conditions that were simply deadly to the more complex and cold-loving life forms of later times. To most life, the hydrogen sulfide gas produced by these little monsters is a deadly toxin. The rotten-eggs stinking, hydrogen sulfide filled waters at first did their dirty work in silence at the bottom of the warming world ocean. But, steadily, anoxia progressed upward, providing pathways for the hydrogen sulfide producing bacteria to fill up the oceans. Death expanded from the bottom toward the surface. 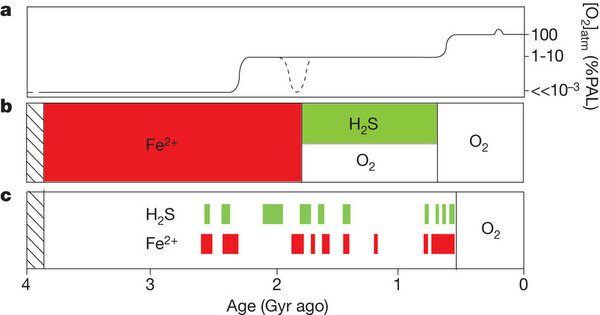 In all the great mass extinction events but, possibly, one, this heat-driven filling up of the world ocean with deadly hydrogen sulfide gas during hothouse periods represents the major killing mechanism. The other impacts of hothouse waters — ocean acidification and habitat displacement — do provide killing stresses. But the combined zero oxygen environment filled with a deadly gas generates zones of near absolute death in which few things but microbes and jellyfish can live. In rock strata, the anoxic, zones are marked by regions of black as the hydrogen sulfide producing bacteria-filled waters eventually take on the color of tar. In the lesser extinctions, these black zones are confined to the lower ocean levels. In the greater ones, they rise higher and higher. During the Great Dying, the oceans brimmed full of the stuff. Black, purple and neon green waters bubbled to the surface to belch their lethal loads of hydrogen sulfide gas into the airs. The gas was deadly toxic to land plants and animals alike. And it eventually wafted into the skies, turning it from blue to green and eating away at the protective ozone layer. In this terrible way, more than 99 percent of all living things were killed off. Of species, about 95 percent of ocean forms were lost with around 80 percent of the land forms being wiped out. The Great Dying of the Permian Extinction 200 million years ago should be a warning to anyone still enamored with the notion that today’s terrifying fossil fuel burning results in any future that is not horrible, wretched, bleak. Today, we dump 11 billion tons of carbon into the air each year — at least six times faster than during the Great Dying. Today, the great melting glaciers are beginning the painful process of ocean death by spreading out their films of stratifying, iron-loaded fresh water. Today fossil fuel industry, industrial farming and warming all together are fertilizing the ocean surface with nitrous oxides, particulates, phosphates flushed down rivers, and an overall increased runoff due to a multiplication of extreme rainfall events. And the impacts are visible to anyone who cares to look. In the Pacific Ocean, a climate change related blob of hot water is resulting in mass ocean creature die offs. Low oxygen waters beneath the blob are wrecking large zones of ocean productivity and risking the proliferation of deadly hydrogen sulfide producing bacteria. 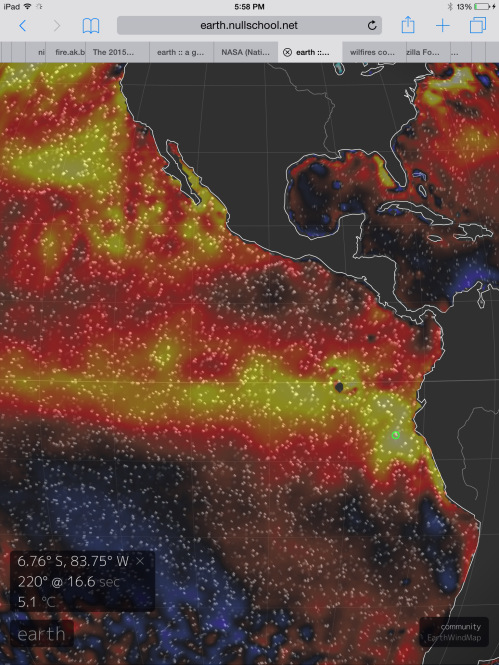 The largest red tide on record has spun off the hot blob. Covering waters 40 miles wide and 600 feet deep, it has left piles and piles of dead shellfish rotting on beaches across the North American West Coast. Across the Continent, the Chesapeake Bay suffers a proliferation of dead zones and greatly reduced productivity. There’s a rising risk that, during coming years, increased warming will deliver a heavy blow to life in the Bay and turn one of the world’s greatest estuaries into a large hydrogen sulfide production zone similar to the Baltic Sea. In the Gulf of Mexico, a similar dead zone emerges near the outlet of the Mississippi. 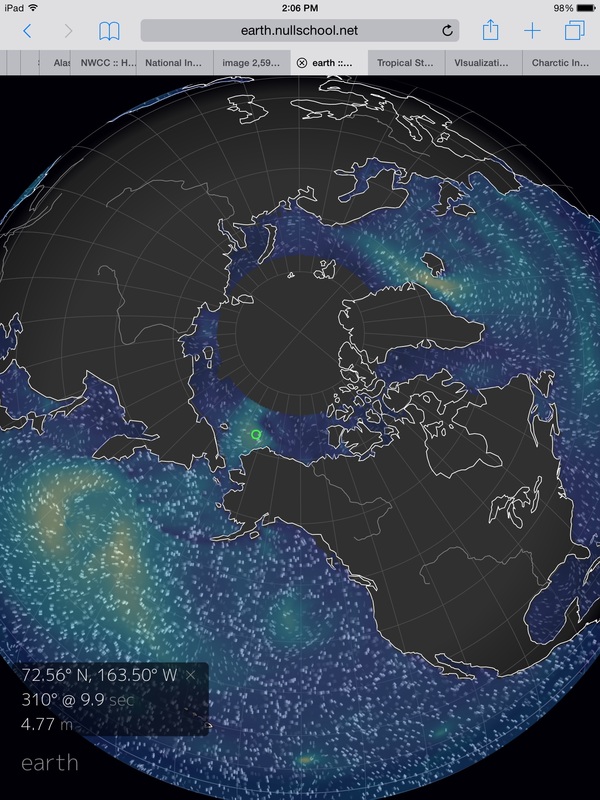 And out in the Atlantic Ocean, mobile dead zones now swirl providing a roving surface hazard to both the deep open waters and to the coastal regions that now sit in the firing line. In the Arctic, recently ice-freed waters are now the host of massive blue and green Algae blooms. Ever since the mid 2000s a massive algae bloom like the one pictured above has dominated the Barents Sea during summer time. Often running as deep as 400 feet, this sprawling mat can rapidly deplete northern waters of vitalizing oxygen and result in mass fish kills. Waters around Greenland, in the East Siberian Sea, the Chukchi, and the Beaufort have also hosted large, and potentially ocean-health threatening algae blooms. 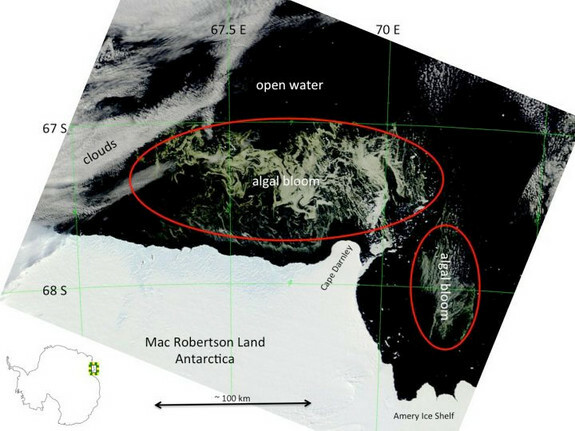 And, in the polynyas and open waters off a melting Antarctica, massive algae blooms are also starting to form. Some of the blooms are so dense they emit a nasty rotten-eggs smell — a sign that sulfide producing bacteria may already be active in some of these waters. Fed by iron from melting glaciers, these immense blooms represent rapid explosions of life that can equally rapidly deplete waters of nutrients and then oxygen as they die off. 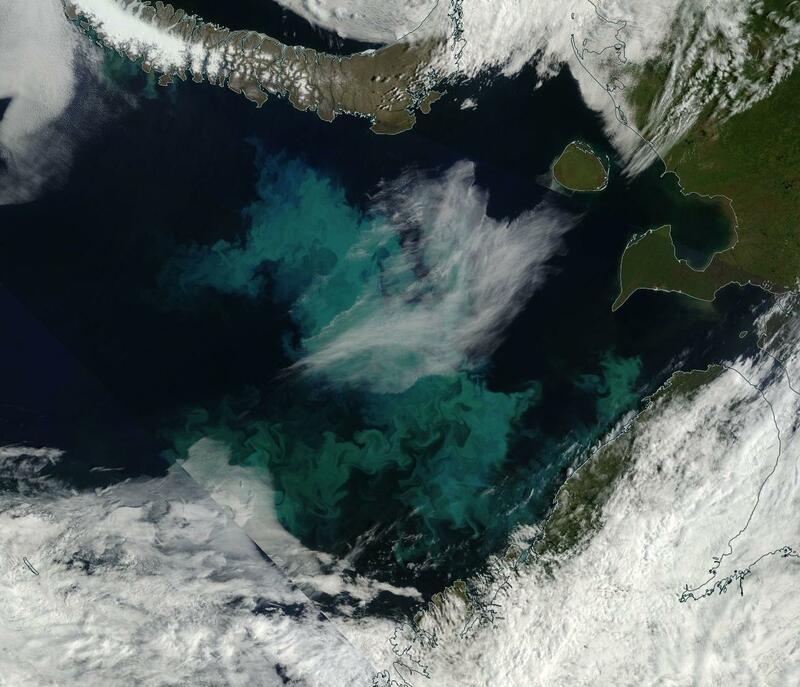 The blooms and the related expanding, low oxygen dead zones now range the entire world ocean. And where we see the red, the neon green, the cloudy light blue what we see are the signs of another ocean extinction in the making. An extinction that is likely building faster than at any time in the geological past. But we may still be able to avoid another great dying. The amount of carbon we’ve emitted into the world’s airs is immense, but it is still but a fraction of the carbon explosion that resulted in the Permian die-off. It is still a tiny fraction of the carbon that remains in the ground. The carbon that could be burned but shouldn’t. And a rapid cessation of fossil fuel burning now should, hopefully, be enough to prevent another hothouse spurred great dying in the oceans and upon the lands. As for continued burning of fossil fuels — that results in ever greater risk of unleashing the horrors of the ancient hothouse. A set of now stirring monsters that we should carefully allow to fall back into slumber — leaving them to rest in dreams of the great long ago where they belong. K-T Extinction — Impact or Hothouse Caused? There’s something not quite right going on in the Pacific. In the northeast of that great ocean, the Ridiculously Resilient Ridge just keeps growing. A gigantic high pressure cell spreading out to encompass the entire region from the Aleutians to just off the California Coast. This giant, implacable system has lasted now for the better part of two years. A mountain of atmospheric inertia towering over a deadly, human-warmed, hot pool of Pacific Ocean water. To the west of our monstrous ridge runs an abnormal storm track. Firing off just north of the Equator and south and east of Japan, the track is fed by tropical systems swinging north and eastward. Merging frontal storms with the warm core cyclones, this storm track runs up along the boundary of the Northwest Pacific and into the Bering. Many of these storms end up bottled there. But a few surge over into the Chukchi and East Siberian seas. In this way, heat and moisture that originated in the tropics is eventually delivered to the Arctic. Exactly the kind of south to north heat and storm potential energy delivery that Dr. Jennifer Francis has been warning us about. Over the next few days, this storm, heat, and moisture conveyor belt will continue to lend energy to systems firing off over the Pacific side of the Arctic. These storms will generate winds of 25 to 35 miles per hour with higher gusts. They’ll send swells in the range of 4-7 feet rippling across the still ice-smattered waters. And they’ll fling rain, sleet, freezing rain and snow over the still melting ice. An unsettled pattern featuring cold-core systems with an intensity comparable to tropical depressions but firing off in the chill boundary zones along the sea ice melt edge. Then, according to GFS model runs, things start to get interesting. By Sunday, August 16th our massive Northeast Pacific Ridge starts to really flex its muscles. It heightens to a near 1040 mb high pressure cell and links arms across the Arctic with a 1030 mb high over the Central Arctic Basin and another 1030 mb high over the Barents. In other words, the ridge forms a transpolar daisy chain. And on the left side of this transpolar ridge, the storm and moisture conveyor running toward the Arctic boundary kicks up a notch. Double barrel cyclones fire off in the region of 15 degrees North Latitude spawning from the very strong atmospheric feedback of our monstrous-looking El Nino. Three more storms run in train from 30 North to just past the 70 degree line in the Chukchi. And all run along a diagonal northeasterly track aimed directly at the Arctic’s thawing heart. It’s a new, odd storm track. One that, depending on the strength and orientation of the Arctic high either ends in the Bering, or runs all the way to the Pole itself. A heat and moisture delivery system that begins to take form in August but that, during recent years, has churned along through Fall, Winter and Spring. It’s a pattern that in 2015 is fed both by the global warming related hot pool in the Northeast Pacific and an El Nino still plowing toward off-the-charts strong. And due to the immense energy of the weather and climate systems involved it’s an anomalous pattern that risks an extreme storm potential energy delivery running from Equator to Arctic. Back in May, official temperatures soared to 35 degrees Celsius (95 degrees Fahrenheit) as humidity levels spiked in Cairo, Egypt. The early high heat and humidity sparked anxiety among residents worrying over the coming summer. Public complaints about official temperatures being lower than actual measures were widespread among a populace vulnerable to heat exposure in a notoriously hot region of the world suffering the ongoing impacts of human-forced warming. Unfortunately, the early fears appear to have been all-too-valid. For in late July a seasonal flow of hot, humid air from India, Pakistan and the Persian Gulf began to settle over Egypt. The hot air issued from regions where deaths from 2015 heatwaves numbered in the hundreds and thousands, where hospitalizations numbered in the tens of thousands. As the heat dome extended its oppressive tendrils over Egypt, both temperatures and humidity spiked — pushing wet bulb readings into ranges that made it difficult for humans to maintain body temperatures. Official air temperature readings ranged from 35 to 47 degrees Celsius (95 to 116 degrees Fahrenheit) and the added moisture reduced the ability of evaporation to cool the skin. The risk of heat injury rose. And over the past few days this hot air and humidity spike began to prey on Egyptian residents. The result was 42 tragic deaths due to the excess heat over the past two days alone. Scores more were hospitalized as the entire country from north to south sweltered. Weather forecasts, unfortunately, show the hothouse heat continuing to blanket Egypt throughout the coming month. Let’s hope that, somehow, the terrible toll in heat casualties abates. It’s a hotter world we live in now. One in which any of us living on Earth are now four times as likely to experience a heatwave than we were during the 1880s. And at the most extreme end of this spectrum are the heatwave mass casualty events — which this year have been very numerous and widespread. Italy, Egypt, the Persian Gulf, Pakistan, India and Japan have now all experienced mass hospitalizations and deaths due to the excess heat of a world forced to rapidly warm by human fossil fuel emissions. For Japan, which has been experiencing heatwave related deaths and hospitalizations since July, the harm due to excess heat spiked to new extremes this week. There, over the past seven days alone, nearly 12,000 people were hospitalized due to heat stroke. That’s the highest number of heatwave related casualties since tracking of these new events began in 2008. And of the thousands hospitalized, an additional 32 souls were lost. The new wave of deaths and hospitalizations brings to over 45,000 the total number of heat stroke victims requiring emergency care in Japan during this summer alone. More than a thousand of these victims have required care extending longer than 3 weeks. And, tragically, more than 85 souls have now been lost. During this time, Tokyo shattered its record for longest period of 35 C (95 F) degree or hotter days running. The above 35 C readings extended for a full eight days from July 31 to August 7th. It’s high heat and humidity that resulted in hundreds of hospitalizations for that city alone. And though the heat has somewhat abated, temperatures during recent days have remained in the range of 33 to 34 C (92 to 94 F)– still scorching-hot for a typically much cooler city. Overall, Japan’s oppressive heat dome hasn’t budged. 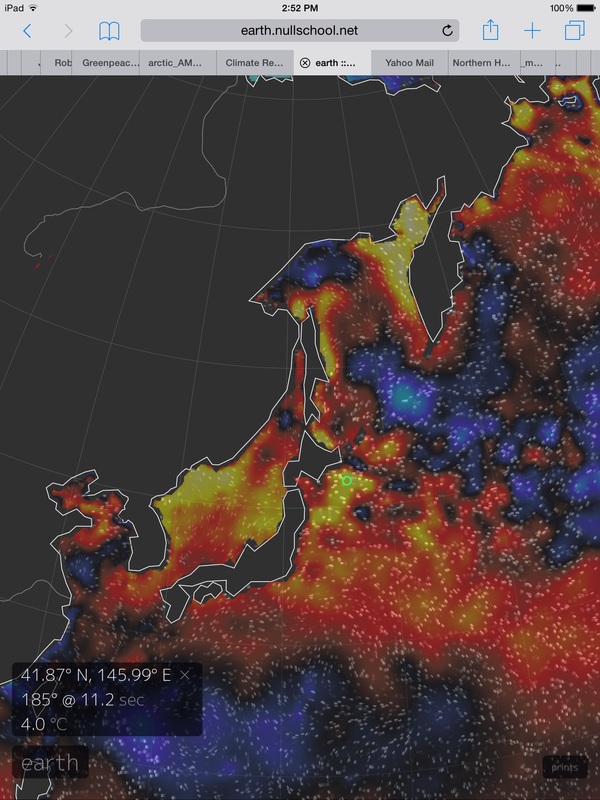 And it will likely remain in place until extremely hot sea surface temperatures surrounding Japan begin to abate. As of today, there was little sign of such relief as the hot waters remained in the range of 2-4 degrees Celsius above average. And so the hot waters continued to pump both heat and moisture into the air around and over Japan, spiking wet bulb readings and creating a dangerous situation for residents not at all used to these abnormal conditions. What’s the worst sin of all? If you agree with the Greek playwrights it would have to be hubris — or pride so terrible that it results in blindness. For the fossil fuel industry and its sock puppets — like Anthony Watts and Bob Tisdale — hubris probably best describes their response to anything climate change related. A year and a half ago, these fossil fuel industry supported purveyors of climate change denial quackery derided this blog for reporting on the risk of a potential Monster El Nino emerging in 2014 and 2015. They claimed the researchers and experts here knew nothing about El Nino. They used the fact that I sometimes write fiction as a kind of flimsy ad-hominem support to this blatantly false claim. Lacking any creativity or freedom of expression, they continued to rattle off their authoritarian, scripted, boiled-down, Heartland-produced talking points. The misrepresentations they developed were as contrived as they were tortured — Pacific Ocean heat content was normal, they said. The underlying heat imbalance was not capable of resulting in a monster El Nino event, they claimed. Global warming didn’t exist to the point that it could have any impact on El Nino, they asserted. It was all just one more scam in their endless bid to de-inform the public and pretend the climate change elephant in the room doesn’t exist at all. Just one more fossil fuel industry cover-up at the tail of a nearly endless list. They did this even as they continued to ignore and attack the relevant science and its scientific luminaries — both standard and climate change related. And so blinded, they laughed and laughed like fools drunk on their own special interest inspired logical fallacies as the potential for a monster event grew. More than anything else, it’s a cautionary tale. If you listen to Bob Tisdale or Watts (a man who uses his last name to throw derision at our understanding of Earth’s Energy imbalance), more than likely you’re going to end up being surprised by what’s coming down the pipe. So better not to buy into their nonsense and end up as blind to future risks as they are, or worse, contribute to those risks by failing to support a rapid reduction of fossil fuel burning. In July of 2015, as we initially warned may happen, sea surface temperature anomalies hit above 5 C in the Eastern Equatorial Pacific. Though the first Kelvin waves failed to achieve this mark, the ocean and atmospheric heat imbalances remained and wave after warm wave just kept shoving more heat into the El Nino firing zone. These waves were fed by an endless series of Westerlies in the Western Pacific pushing the hot surface waters down and eastward. Firing off throughout 2014 and 2015, some of these MJO related westerlies were so strong as to have hit record marks. A monstrous El Nino was fighting to break out and there wasn’t any kind of oceanic or atmospheric inertia that appeared to be able to hold it back. Subsurface heat was skyrocketing. And by Spring of this year upper ocean heat anomalies had hit and were maintaining a range between 1.4 and 1.8 C above average. By August, a westerly wind burst that continued for more than 40 days running had shoved the upper ocean anomalies into the range of nearly 2 C above average. The massive heat pulses hit the surface and then steadily rippled westward. The spiking temperature anomalies were so strong as to set off a record longest period for +1 C above ‘average’ temperatures for all El Nino zones. A period that finally ended with this week’s NOAA El Nino report as values again dipped to 0.9 C positive anomaly in the Nino 4 zone. But in the critical Nino 3.4 zone, temperatures continued their steady climb. As of this week, readings had hit a +1.9 C anomaly in that benchmark. In other words, the current El Nino just rocketed past the 1.8 C monster event threshold without so much as a blink. It’s a very high reading for August when we’re still supposed to be building toward an El Nino predicted to peak in October or November. A reading that is already in the range of a monster event in the weekly monitor. A reading that, even if it were to simply maintain, would mark one of the most intense El Ninos on record. But the heat build into Nino 3.4 appears to be steadily ramping up. The warm Kelvin wave and powerful upper ocean heat anomalies continue along their path of rebound to mid ocean. An upper ocean heat pulse as strong as it’s ever been throughout 2014 and 2015. All of it on a rendezvous with the Central Pacific over the next 4-12 weeks. The jump to 1.9 C thresholds this week came as a bit of a surprise as the corrected consensus models NOAA uses point toward only 1.5 C to 1.7 C departures for August steadily warming to around 1.9 to 2.1 C above average readings by October and November. Such predictions are still enough to put the 2014-2015 El Nino in the range of top 3 events on record. But the jump to 1.9 C follows more along the pathways predicted by the UKMO to ECMWF ensembles — whose guidance shows mid ocean warming hitting 2.2 to even 3 C above average readings. Temperatures hitting such high marks in the Equatorial Pacific would exceed the maximum values seen during even the record 1997-1998 event. Overall, it looks as though the most likely 3 month average for the 2014 to 2015 event is in the range of +1.6 to +2.5 C putting the current El Nino tracking in the strong-to-monstrous range that we’ve been highlighting as a possibility for the past year and a half. In the context of human-caused climate change such a powerful El Nino occurring during 2015 means that global average temperatures are likely to continue to hit new record high marks. The heat bleed off the Pacific Ocean is, for lack of a better word, massive. And not just in the Equatorial regions. The vast majority of the North Pacific features above average temperatures. The hot blob in the Northeastern Pacific remains firmly entrenched and a related south to north heat transport over Alaska and into the Pacific side of the Arctic remains firmly in place. With these conditions so dug in, there is rising risk that the heat plume coming off a near record El Nino may be headed north. This could have severe implications for an already terrible set of polar amplification related conditions in the Arctic. Such a powerful heat plume would also reinforce storminess along a broad band from the south and eastern US and on across the North Atlantic where a climate change related cool pool (associated with Gulf Stream slowdown, AMOC weakening, and Greenland melt) is already in the process of intensifying the storm track. The result is a potential teleconnection between El Nino and a number of already well established climate change related patterns. As for the fossil fuel industry funded deniers — I’m sure they’ll have a number of derisive things to say about this science-based analysis. For though I’m not a scientist (I’m an emerging threats expert), I do read the science (over 1,000 reports and papers so far on climate change alone). I listen to what scientists have to say rather than constantly attacking and attempting to undermine their positions. And to help me, I have scores of other experts and laypersons who often post their own fantastic analysis and reports in the comments section here. So what you find here is an honest effort by concerned people to keep track of a growing climate crisis and what you have over at Watts and Tisdale is, conversely, an active industry-based cover-up. But we need not worry about them. Their endless quibbling represents little more than a constantly running and vicious commercial for the fossil fuel industry. Just as slanted, inaccurate, manipulative, and special interest focused. And as with any other annoying commercial the best thing to do is to simply hit the off button. We have far more important things to do than to overly concern ourselves with such shallow corporate mercenaries. We have threats to identify, policies to support, and lives to save. Them we’ll leave to their foundering and increasingly amoral corporate masters. The semi-permanent weather patterns are all out of whack. The Aleutians Low has been shoved into Alaska and the Beaufort. The Pacific California High has shifted north and west to dominate the region previously claimed by the Aleutians Low. And the Bermuda High — a feature famous for directing tropical cyclones northward along the Atlantic Seaboard has packed its bags and fled north and east. During the late summers of more stable climates, a strong high pressure system tended to form over the region of Bermuda. The high swept warm, moist air up off the Atlantic Ocean and over the Eastern Seaboard of the United States. The high was also a reliable governor of the movements of tropical cyclones — with the position of the high critical in determining whether these powerful summer storms would make landfall or rocket out to sea. But this August, the Bermuda High is nowhere to be seen. Instead, it’s shifted more toward mid and north Ocean — closer to the Azores and the Flemish Cap. In the above image, provided by Earth Nullschool, white denotes areas of high pressure and purple-to-red denotes areas of low pressure. 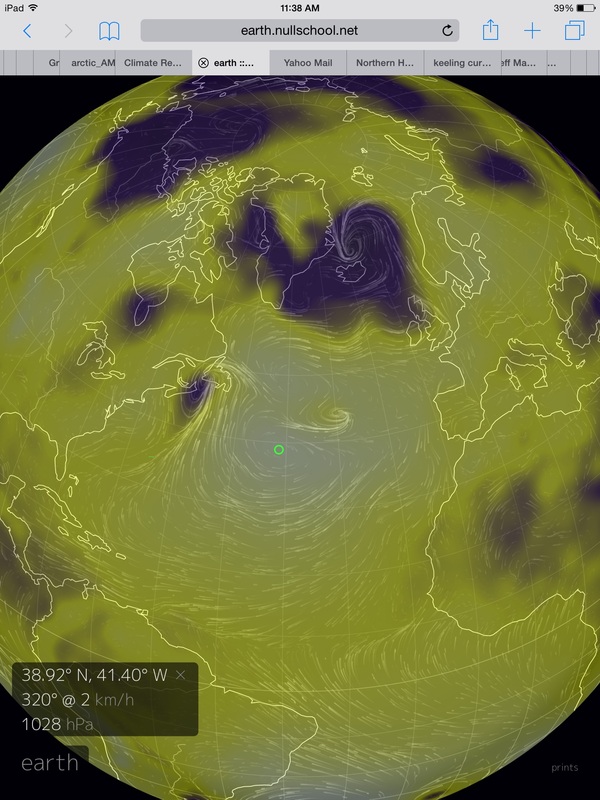 The green circle in the image marks the position of the North Atlantic High in today’s GFS summary map. Note that the high is shifted more than 1,000 miles to the east and north. It sits at the base of a ridge that stretches well north of the Flemish Cap and then extends eastward to just south of Britain, Scotland and Ireland. Near Iceland, a powerful cyclone rages. A fickle storm that alternatively sets its sights along an arc from England to Svalbard. A semi-permanent high pressure system north of the Azores and a very stormy North Atlantic in the triangle between Greenland, Svalbard and England is not remotely a normal summer weather pattern. It’s instead a feature of a number of new ocean and atmospheric dynamics that are the upshot of human-caused climate change. As equatorial heat embodied by the Hadley Cell expands outward from the lower Latitudes, the oceanic highs, including the Bermuda High, are shoved northward. This motion tends to also shift weather tracks into higher Latitude boundaries even as it, at first, enhances waviness in the Jet Stream. Near North America, we can see this dramatic weather alteration in the form of the Ridiculously Resilient Ridge over the Pacific and the Terribly Tenacious Trough over the Eastern Seaboard. A second feature that influences the displacement of the North Atlantic High is the expansion of a cool pool of water to the south and east of Greenland. This cool pool is an upshot of the ongoing melt of the Great Greenland ice sheet. As fresh water spills out from Greenland’s glaciers it cuts off the northward propagation of the Gulf Stream even as it prevents bottom water formation. This shutting down of ocean circulation causes heat to build further south along the Eastern Seaboard of the United States and in the Caribbean and Gulf of Mexico. The lack of south to north heat transport combines with the expanding fresh water cap to prevent ocean heat ventilation at the surface in the North Atlantic. 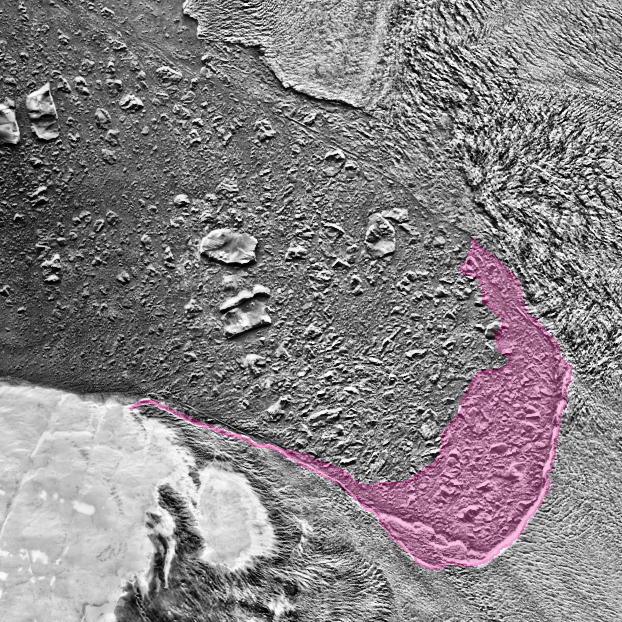 As a result, we see an expanding pool of cool water in this zone. 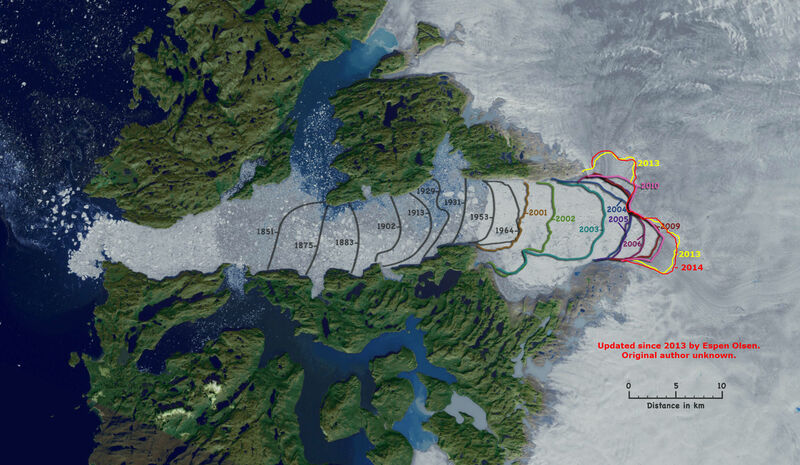 A signature feature of both human caused climate change and of glacial melt in Greenland. 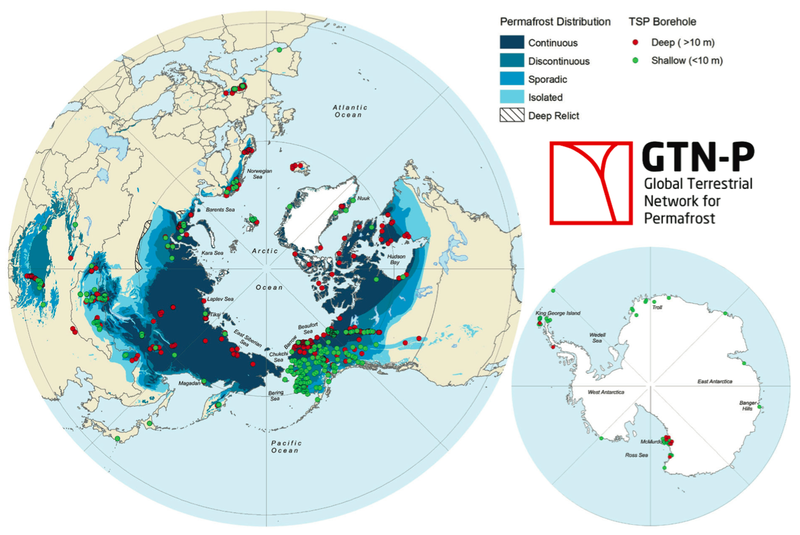 As glacial outflows from Greenland expand due to a continued forced economic dependence on fossil fuels and the dumping of their toxic, heat-trapping emissions into the atmosphere, we are likely to see the Bermuda High continue to shift north. It’s the first of many features that will tend to produce powerful atmospheric bomb-type storms in a great zone within the North Atlantic. Storms of an intensity we likely haven’t seen through all the 10,000 year period of the Holocene. It is for this reason that the shift of the Bermuda High north and east should be viewed as an ominous atmospheric move. One that is preparatory to far worse weather to come — during a time when the old Bermuda High will, perhaps, be viewed with a kind of fond nostalgia. A gentler weather feature of a once far kinder climate. 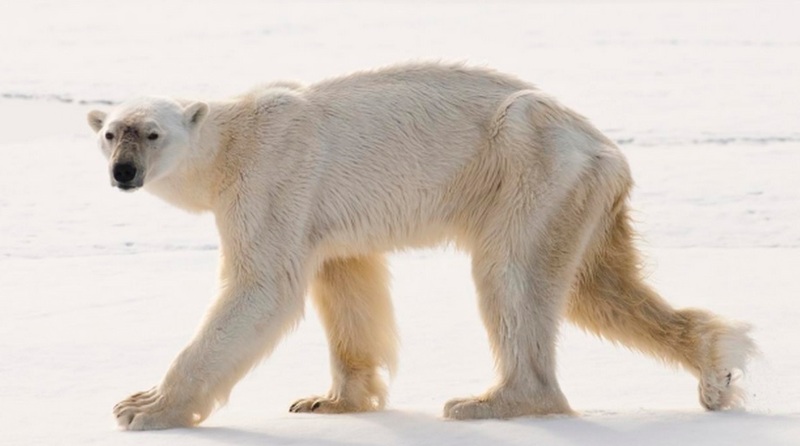 Like so many other innocent creatures on this planet, polar bears are facing ever-worsening life-threatening conditions due to the fossil fuel industry’s insistence to keep burning, and to keep us dependent on their horrific energy sources. The bears’ Arctic home has been transformed in ways that are profound and terrible. The sea ice they used for hunting grounds is greatly depleted. The seals they hunted for prey have ever-more-numerous avenues of escape into dark and warming waters. It’s a merciless and terrible burning. One that encompasses many genocides together. Ecocide, ecological shock, growth shock, the sixth great extinction. All words to describe what we now watch. What fossil fuel industry influence is preventing us from stopping. But to the bears themselves, it’s a wrenching torture. A forced orphaning and starvation combined as the bears grow increasingly emaciated, weak, and desperate. Transformed into walking skeletal beings, they’re ghosting off toward the obliteration fossil fuel interests are sentencing them to. To a climate change denier, the plight of these poor creatures is a subject of ridicule and derision. ‘Who cares about stupid bears’ is the rallying cry of heartless ignoramuses everywhere. They’d rather us be worried about our own petty day-to-day existences. The back and forth, stuck in traffic, want more money, pay less taxes, fear of far off ISIS daily grind of the right wing soundtrack. Or when the tinny siren song of that ever-more-stuffed-with-straw appeal fails it’s back to the old — pretend it’s not happening — trick. Starving polar bears so desperate that they’re now forced to hibernate in summer to conserve energy must be photo-shopped by some imaginary government agency after all, right? Deny as deniers do, for the bears it’s all too real. For one bear in particular, recently filmed in the above video, it was a life and death struggle. Not some narcissist’s thrill like the needless poaching of innocent wild lions for blood-sport in Africa. No, for this bear, success in the hunt meant a continuation of blessed life. A second chance to keep going, to keep living in the great world. Failure meant weakness, fading, pain and death. The bear, in dire need of food, was forced to hunt in a way it was not adapted to — by stalking in the water. It was forced, in desperation to swim toward near-water seals. And it was forced to hold its breath underwater. Hold it for longer than any polar bear ever witnessed. Hold it for a full 3 minutes where a mere 72 seconds was the previous record. It was as if the starved bear had been forced to perform impossible feats — or die. That’s the situation the callous greed and disregard of some have put them in. Do the impossible, or just die. This bear’s struggle is not one occurring in isolation. It’s not just the struggle of a single individual. But the struggle of an entire race that is now being torn from the fabric of existence. The cliche phrase to say at this time is that we are all responsible. That we all share the guilt. But it’s not true. In fact to say such a thing is a terrible lie providing an out for the real perpetrators of this egregious harm. There are some of us who want to change the bear’s situation. Some of us who want to improve its chances. Some of us who want to cut the destructive fossil fuel threads that bind the bear and us all to a terrible and ever worsening ecocide. The ones who want to help are not the problem. The ones attempting again and again to stop the ongoing damage are not the guilty party. But the deniers and the fossil fuel industry the deniers wittingly or unwittingly serve are entirely different. They don’t care one whit about bears suffering an all-too-real existential crisis. And it seems they don’t care about their own children’s rising existential crisis either. They are the ones who deserve blame. For they are the authors of this great harm.